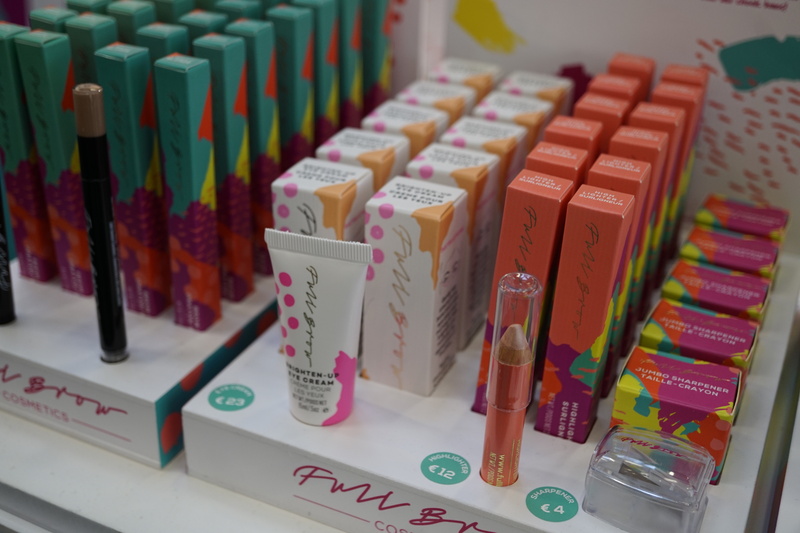 Let’s start with Australian indie brand Full Brow which I discovered on my last trade show day. Full Brow is from Melbourne; brand founder Marie-Noelle Dragutin runs several popular brow bars in Melbourne and in 2016 she decided to branch out into retail products. 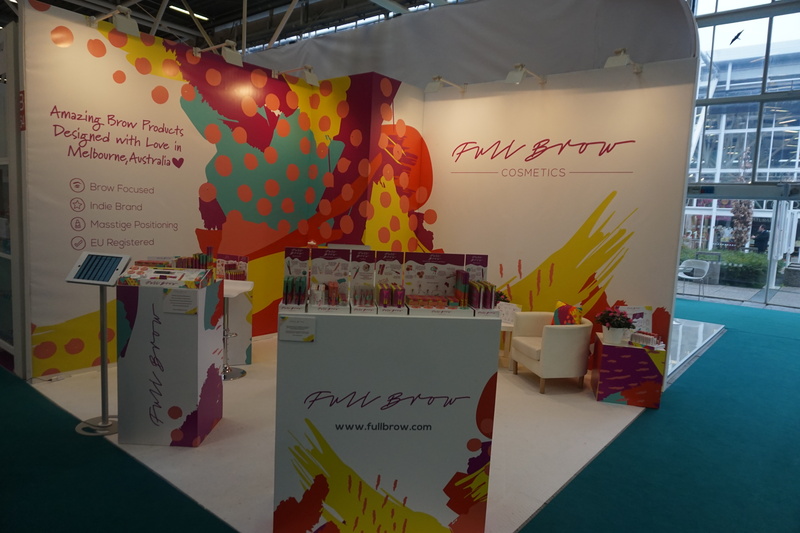 Full Brow was a first-time exhibitor at Cosmoprof and isn’t the booth design fantastic? It photographs so well! Anyway, the Full Brow retail range offers 11 sku with a further three products to come later this year, and the line-up includes a cream-to-powder Brow Smudge pencil, a very light non-oily eye cream which can be applied over makeup and the jumbo-sized Multiface Highlighter Pencil crayon. There is also a pencil sharpener and a pair of tweezers, creamy Brow Fibres which are packaged in a mascara tube (this is a new product that will launch next month), four creamy brow powders and a white brow wax, a brow brush and a Brow Crayon which offers the same finish at the brow powders but in the convenience of a pencil format. Although Full Brow’s an Australian brand the products are manufactured in Italy and Germany. The company has just completed its EU registration and is now looking for distributors to expand its business in Europe, especially in key markets like France, UK and Spain. I’ve been a fan of organic Italian brand Bioearth’s Loom snail care range ever since I first discovered their Snail Essence at Vivaness 2015 trade show. I hadn’t really checked out the brand since and there are so many new products to discover! The Loom range was relaunched with new packaging and there is a new sub-range: Loom Supreme which combines the skin-healing properties of snail mucus with hibiscus flower extract in two products, Tensor Effect Filler Serum (I received some sachets of the serum and tried it out that very evening, the skin-smoothing effects were remarkable) and Smoothing Effect Cream. Also new in Bioearth’s portfolio: a 9-sku range of sheet masks, seven cream masks (five for the face, two for the hands) and ten face serums; all for different skin concerns. As you can see from the pic the packaging looks entirely different from the brand’s Loom range. Very attractive. 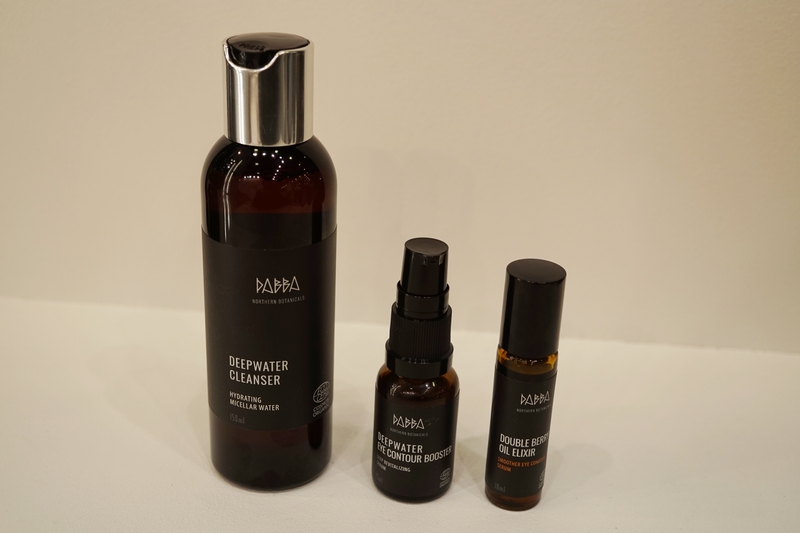 Latvian beauty brand Dabba is one of my favourite organic brands; I am currently using their Deepwater Hydration Booster and the Raspberry Seed Oil Elixir (two of my European HG products!) as well as the new eye contour serum which I received at the trade show. The Deepwater Eye Contour Booster serum is one of three new face care products in the Dabba skin care range. If you remember: Dabba originally started out with a range of plant hydrosols. Then, two years ago, they launched their first body and hair care products as well as several oil blends for the face. 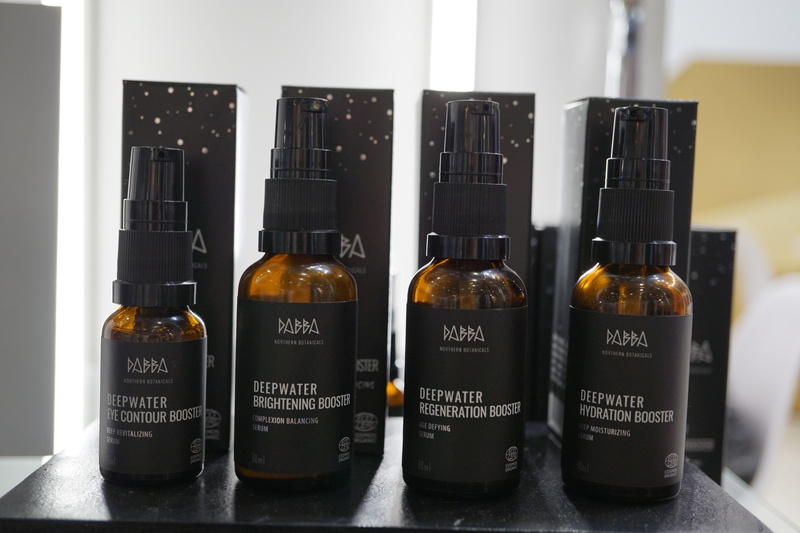 And at this year’s Vivaness trade show, Dabba presented three new oil-free serums, the Deepwater range. 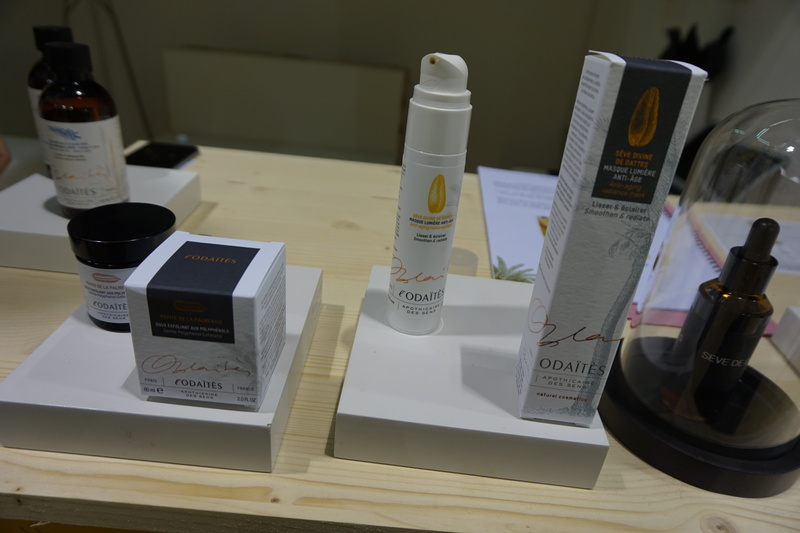 The third new product (on the right) is Double Berry Oil Elixir, an eye care oil which is packaged in a roller-ball pen. I really love Dabba’s new face care products. The Lab Room is a charming brand from Spain. Launched by Mónica Ceño Elie-Joseph in 2000, Lab Room started out as a beauty salon in Madrid. In 2004, Mónica introduced her first retail range and today Lab Room offers some 20 face and body care sku as well as home fragrance products. The packaging is apothecary-style in black, brown and white – stylish and minimalistic. The line-up offers 12 face care products as well as four body care products, four scented candles, four home fragrance sprays and four perfumes. The face care line-up offers a facial cleansing cream, a rich toner, two moisturizing face creams, two serums, two face masks, two lip balms, an eye contour cream and a tea tree roll-on for impurities. On the body care side there is a body oil, a cold-pressed bar soap for face, body and hair; a salt scrub and a rich body cream. Most products are organic whilst others are near-natural; all of them are unisex, with great textures and very pleasant fragrances. 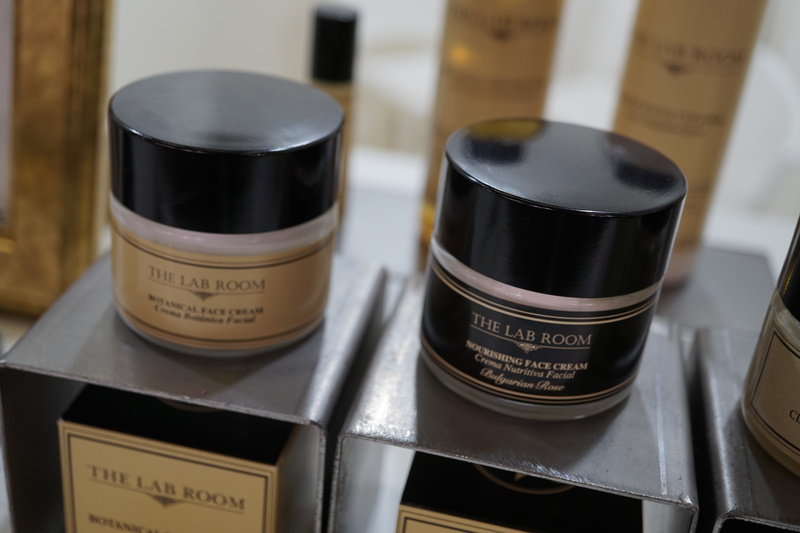 The Lab Room’s beauty products are available in several European markets and in late 2017 the company started to sell on Amazon Luxury. You can check out the brand’s product portfolio on their website. 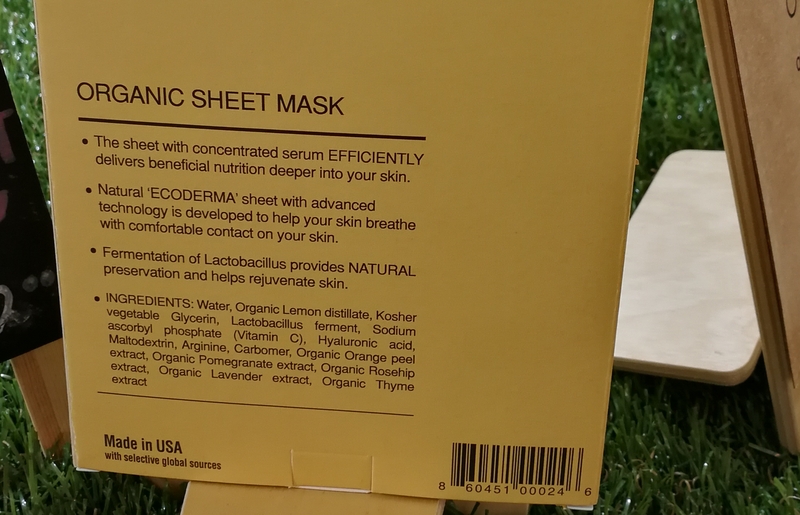 US brand Orgaid offers organic sheet masks which, interestingly enough, are not manufactured in Korea but produced in the US instead. 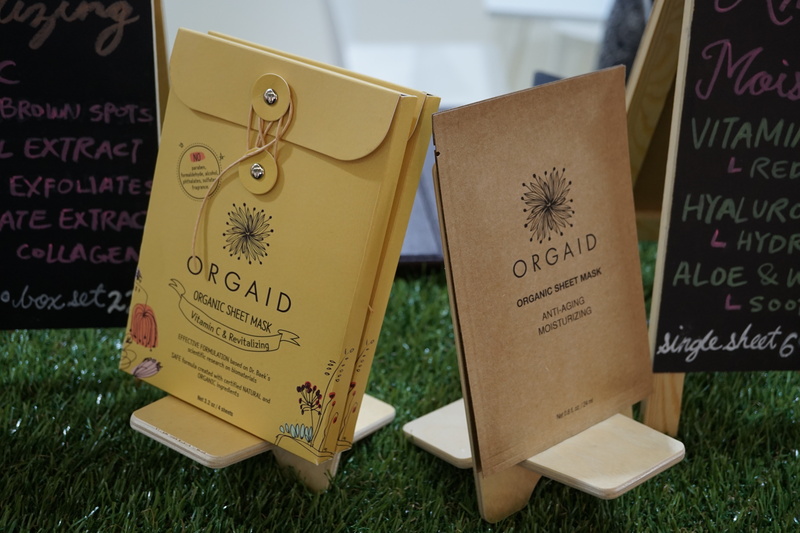 Most European and US K-beauty brands tend to have their masks produced in Korea (which is usually prominently stated on the packaging) but Orgaid does the exact opposite: the company claims that they offer the first domestic sheet mask brand made with certified organic ingredients in the US. I can’t really comment on this since I don’t know the US market well enough but what I CAN say is that the sheet masks are great; I was given two to try out and they were moisturizing and cooling and the skin felt so smooth afterwards. Check out the ingredients in the pic above. Impressive. So I’m not surprised that Orgaid’s masks are already sold in 600 POS in the US as well as stores in Denmark and Italy. 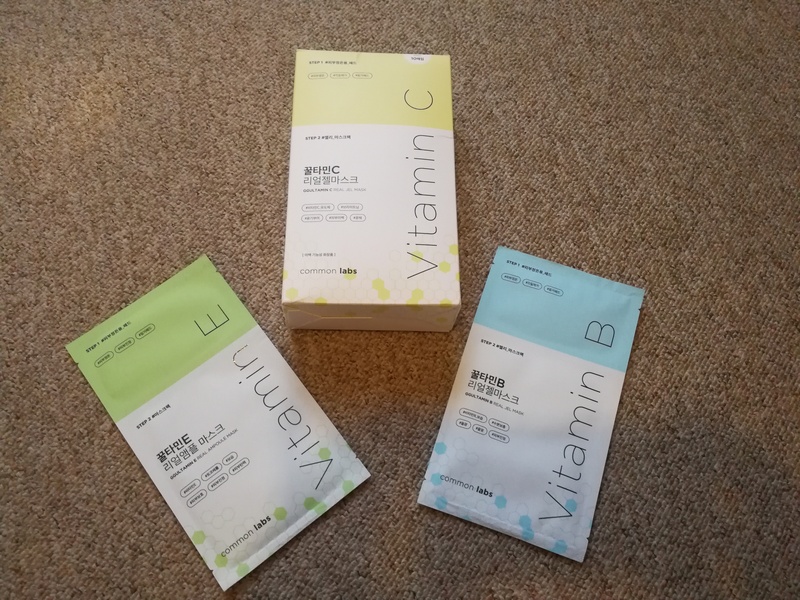 The company offers three different face masks: a brightening mask with vitamin C, an anti-ageing mask and a hydrating mask with Greek yoghurt. Product prices are on par with what I’ve seen for other US sheet masks: 6 USD per mask or 22 USD for four masks. 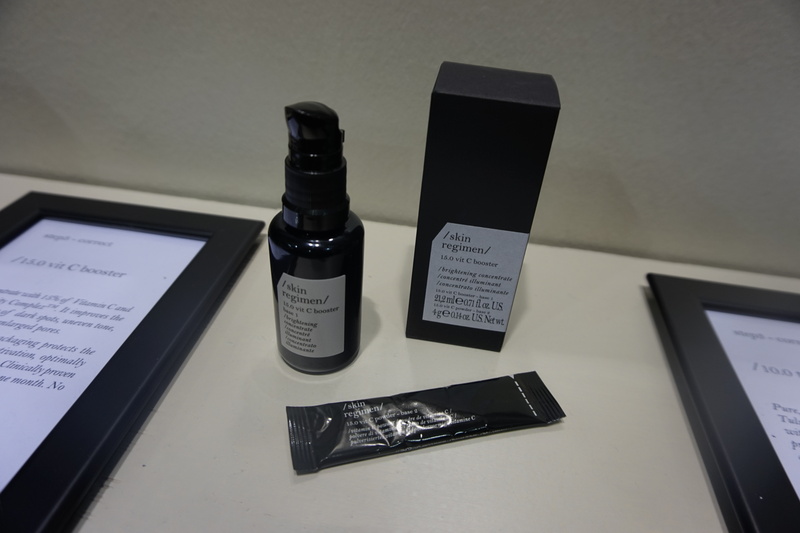 I’ve written about organic Korean brand Urang several times ever since I first met the Seoul-based niche brand at Cosmobeauty Seoul 2017 trade show and immediately liked their aromatherapeutical face care oils, serums and creams. Isn’t the drop-shaped glass bottle design of the face oil beautiful? The products are formulated with very high-quality ingredients (they are pretty much completely water-free) and scented with carefully selected aromatherapy blends. 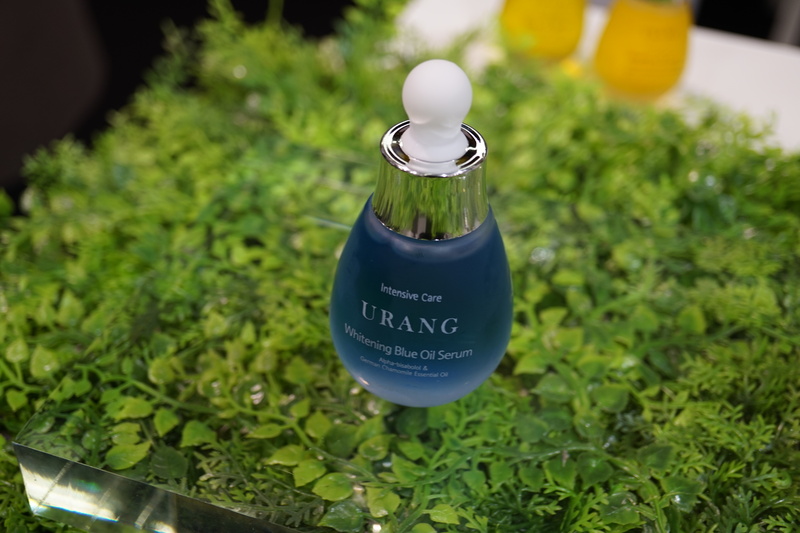 I had seen Urang’s newest launch on Instagram: the Whitening Blue Oil Serum which was launched earlier this year – check it out in the picture below, isn’t the colour striking?! 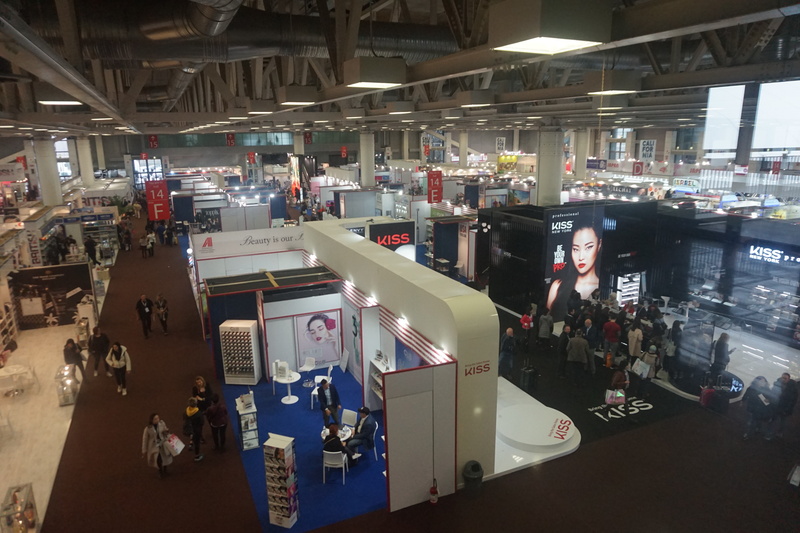 I was excited when I heard that Urang would be exhibiting at Cosmoprof Bologna at the booth of its international K-Beauty distributor B2Link (more on B2Link, an interesting company in its own right, further down!) and that they would also present the new Blue Oil Serum. The face oil is based on green tea seed oil, bisabolol, German blue chamomile (which accounts for the bright blue colour) and tocopherol (vitamin E), and that’s it; four ingredients only! Needless to say the oil doesn’t colour the skin blue at all; instead it goes on smoothly and non-sticky and leaves a very velvety skin-feel behind. I look forward to trying it out properly. 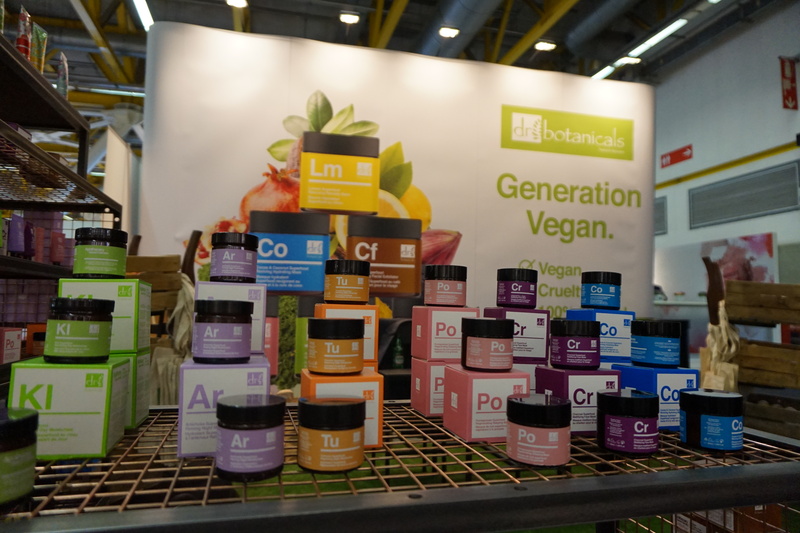 The product is (not yet) certified organic (although most of the ingredients are certified) but founder Jina Lee told me that she had had just started the USDA certification process for her products and might get an additional European organic certification as well. And if you’re interested in Urang’s products: the company recently signed with a Polish and an Italian distributor so the products will soon be available in some European countries – most likely primarily online but also in selected organic and health food stores. And now for B2Link:the company is not just an international K-Beauty distributor (they work with some 150 partner brands which include big names like Olivarriel, Papa Recipe, IWLT (I Woke Up Like This), 23 Years Old, Touch in Sol and May Coop as well as organic beauty brand Blossom Jeju and, of course, Urang) but also a brand incubator. 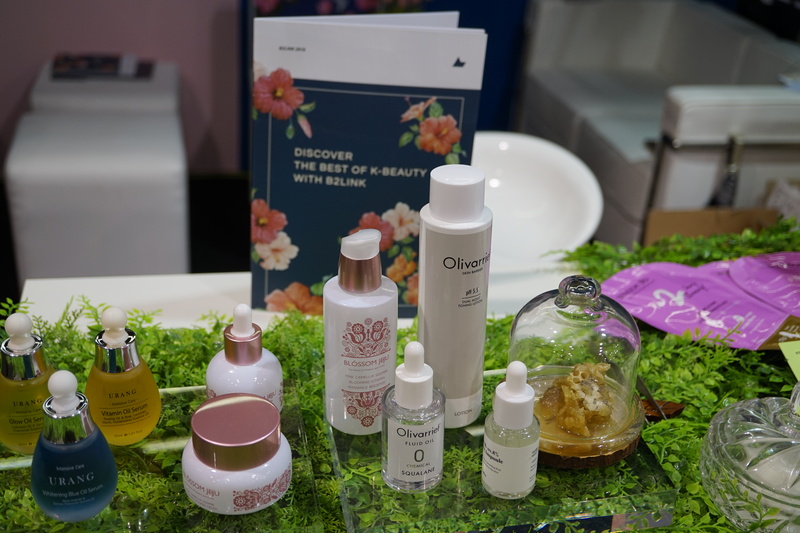 The company helps to promote and market start-up Korean beauty brands, and at their Cosmoprime booth they presented an interesting new sheet mask brand which will launch in Korea soon: Common Labs. B2Link’s regional territories already include the US (where they partner with retailers like Amazon, Urban Outfitters, Riley Rose, Sephora and Ulta), China (offline: Sasa, Tomod’s, Watson’s and Sephora. Online: vip.com. Walmart, Ms. Ontion and Tmall) and South East Asia and they are now looking to expand into the European marketplace. I’ve been a fan of Taiwanese organic beauty brand Naveen ever since I first met the brand at the 2014 LOHAS trade show in Taipei. 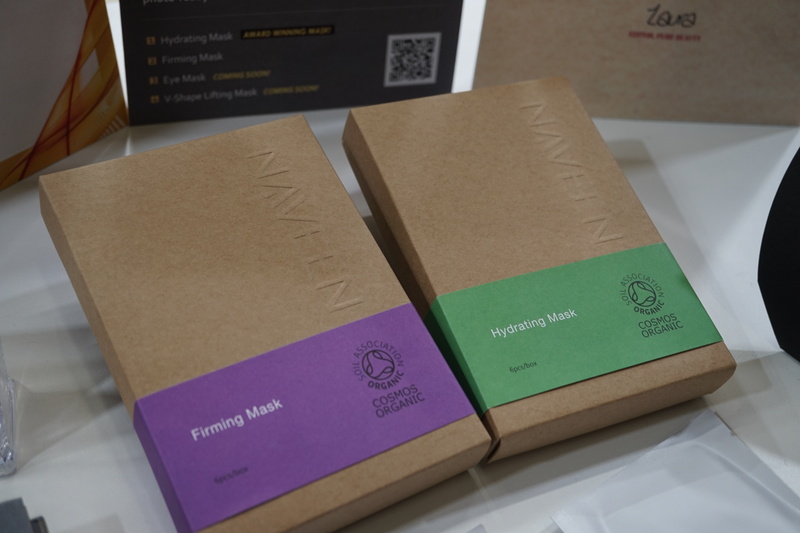 Naveen was the first (and, I think, it is still the only) certified organic beauty brand in Taiwan (Soil Association/COSMOS); in fact, their entire production facility in Taipei is certified organic. The company behind Naveen, Evergoods, also manufactures own label products for other domestic organic beauty brands. I visited their factory the last time I was in Taipei and found it very interesting. 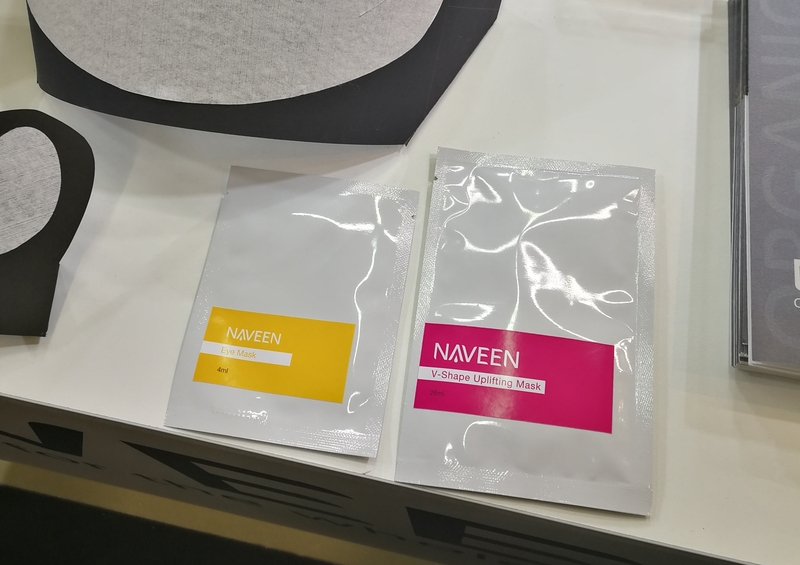 Anyway, at Cosmoprof Bologna 2018 Naveen presented two of its new product launches (the packaging you see in the picture above is not the final pack design): a 3D revitalizing facial sheet mask and an undereye mask. 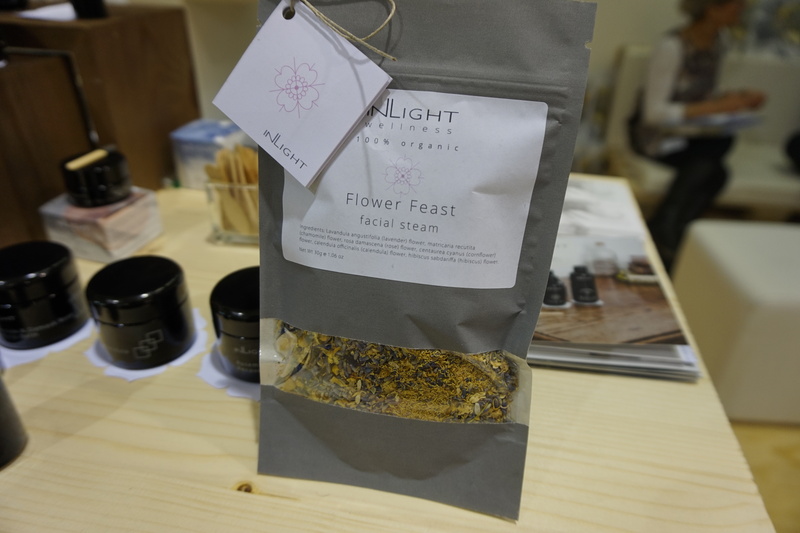 Inlight Beauty: I had first met this artisanal UK-Italian brand at Vivaness in – I think it must have been my first Vivaness visit; in 2014? – and was very taken by its charming founders Loredana and Mariano Spiezia. I haven’t seen Inlight at trade shows since so there was a lot of catching up to do: the brand has relaunched its packaging to reflect the new positioning in the higher end of the niche market and, of course, there are a number of new launches that have joined the portfolio in the past four years – like a 4-sku range of therapeutical balms, a new makeup remover oil, a 4-sku range of herbal tea blends, a men’s face care oil and, as the newest launch, a floral blend for facial steam bath (see pic below). Inlight has also expanded its distribution; the products are now available in the Czech Republic, the US and Hong Kong as well as Lithuania, Spain, Finland, Norway and Sweden. And the UK and Italy, of course. 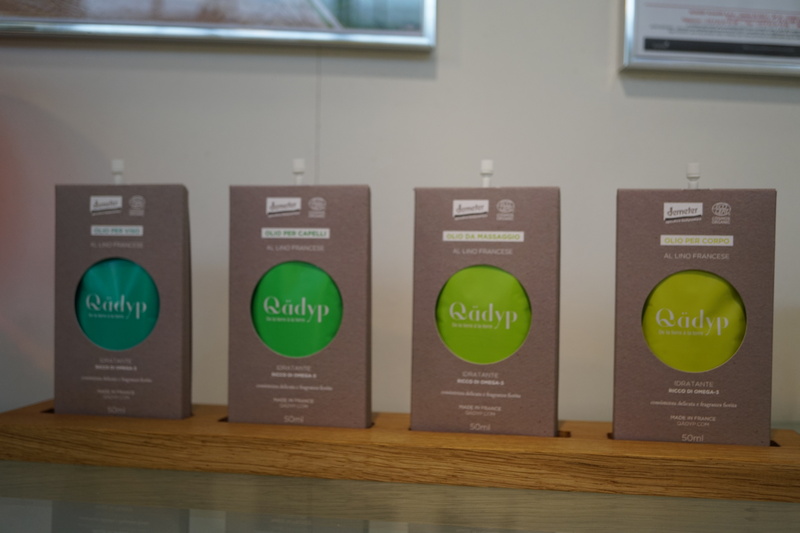 Other than that things have stayed the same, the products are still hand-made in small batches in Cornwall; with very high quality plant oils, plant butters, hydrosols and essential oils. Manucurist is a green French nail care brand which was launched in 2011 by Gaelle Lebraz Personaz. 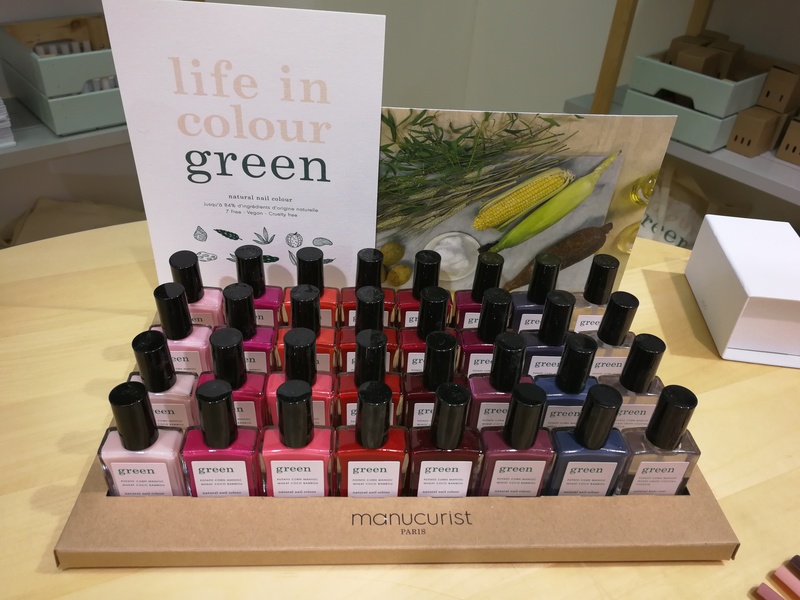 The company started out with nail salons (their first product range was a professional nail beauty range) and then launched its first retail products in 2015 – like the Petite Manucurist range with 9 colours which was developed for children in 2016 (see pics below). Isn’t the packaging cute? I love the little animal drawings on the bottles! Petite Manucurist’s product formula is low on synthetic ingredients and the nail polish can be removed with soap and water. The brand’s newest launch is the Life in Colour Green collection (see pics above) which was introduced in November 2017. The line started out with 15 polish shades at first and was then extended to 51 colours. The nail polishes are vegan and 9-free. And this April, Life in Colour Green will launch in Japanese organic perfumery chain Cosmekitchen! 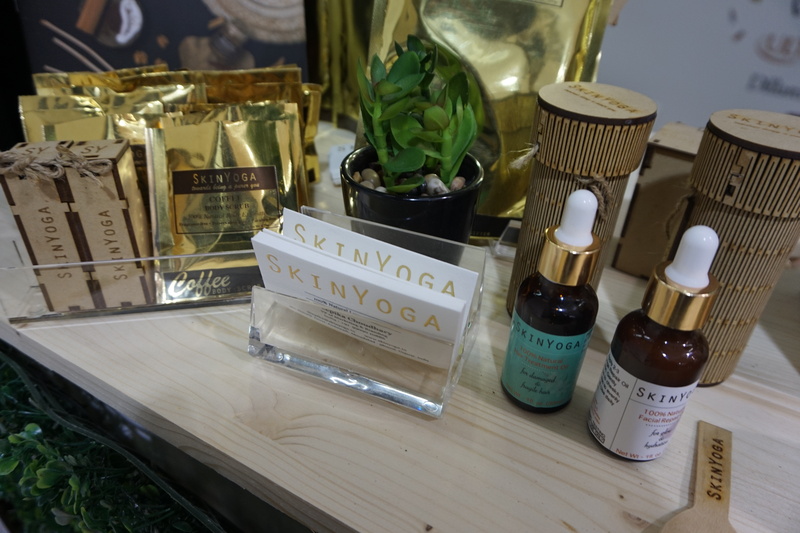 Indian face and body care brand Skinyoga – an exhibitor at Extraordinary Gallery – was founded in 2013 by three sisters: Jagriti, Deepika and Radheika Choudhary. 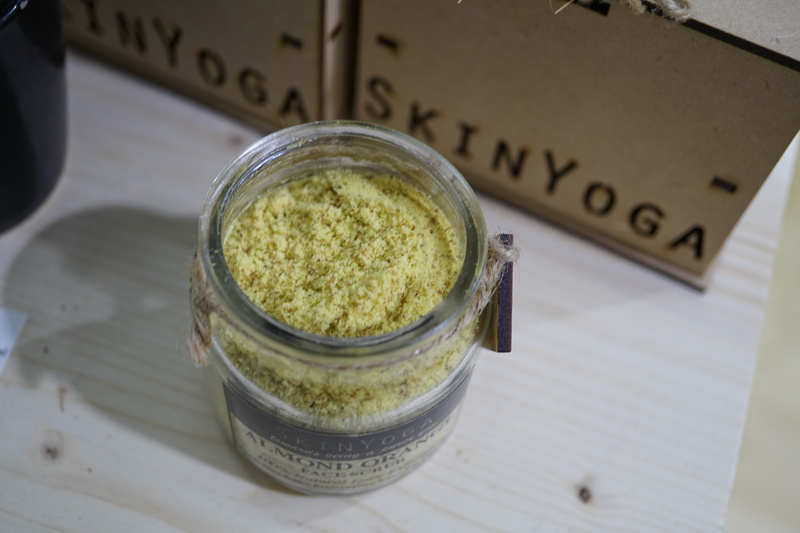 All of Skin Yoga’s products are either dry or powdered (you “activate” then with water, hydrosol or another liquid) or oil blends, and the range comprises ten sku which are formulated with traditional Indian herbs and plants. Each product includes a maximum of four ingredients and all products are vegan and (from what I could see) raw as well as halal. On the face care side there are the three powdered face masks Almond & Orange (almond meal, dried orange peel, turmeric and chickpea flour), Sandalwood & Saffron (sandalwood powder and saffron filaments) and Green Tea Mask (powdered green tea, ground rice, oat meal and neem powder); and powder Oats & Roses Face Wash which combines ground rose petals and oat meal to gently cleanse the skin (you mix the powder with water in your hand to form a thick paste and then gently massage it on your skin). These four products are packaged in glass jars which in turn are placed in pretty wooden boxes. 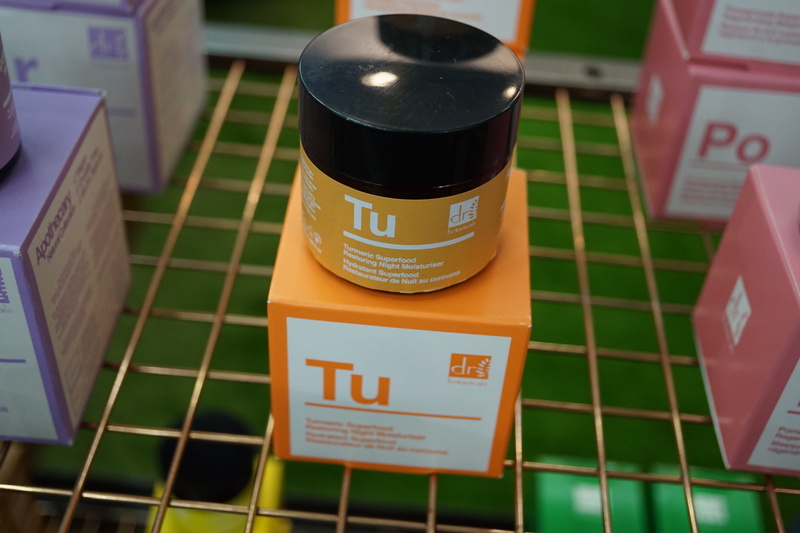 The line-up also offers the Fresh Orange Body Scrub (which also includes turmeric powder) and the Post Workout Need Purifier as well as the Marigold Foot Soak (ground marigold petals and sea salt) and the Coffee Body Scrub (based on coffee grounds). These four products are moist and crumbly mixtures which are packaged in aluminium bags. Then there are two oil blends: Facial Repair Oil and Hair Treatment Oil. Considering that the company has only been around for five years their international distribution is impressive: Skin Yoga is available in 29 countries, including its biggest markets US, Australia, UK and, of course, India. 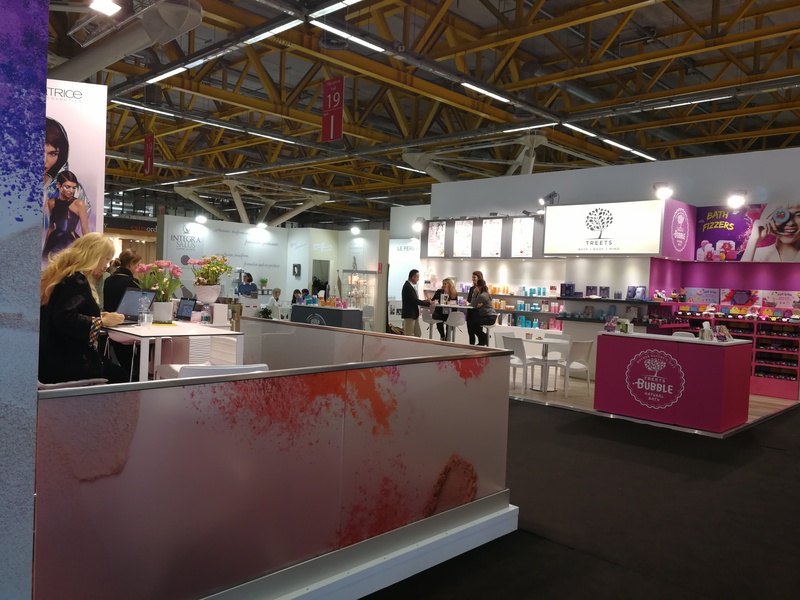 I knew organic Spanish luxury beauty brand Ami Iyök by name only, so it was interesting to finally try out the products at the company’s booth at Cosmoprime. 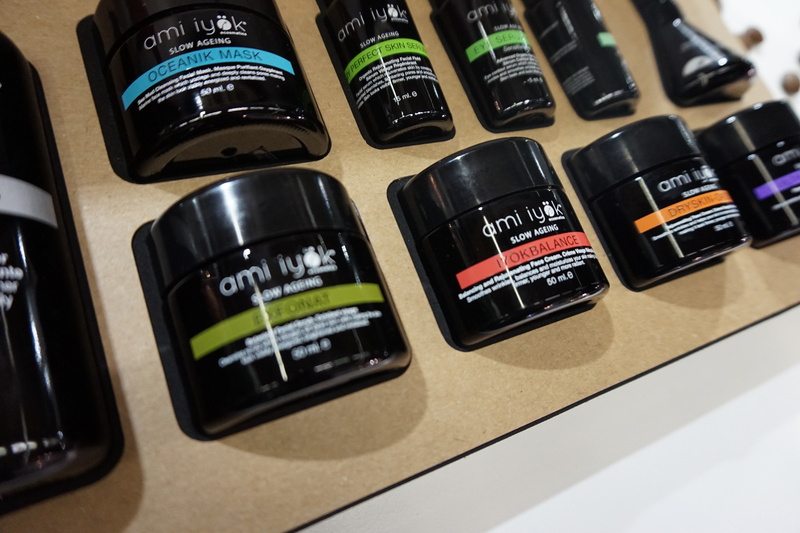 Ami Iyök was launched in 2013, the brand’s portfolio currently offers 15 products – 11 for the face and 4 for the body. Products are sold in 13 countries across the world (including Russia and Hong Kong) but also Germany, France, Spain and the UK. 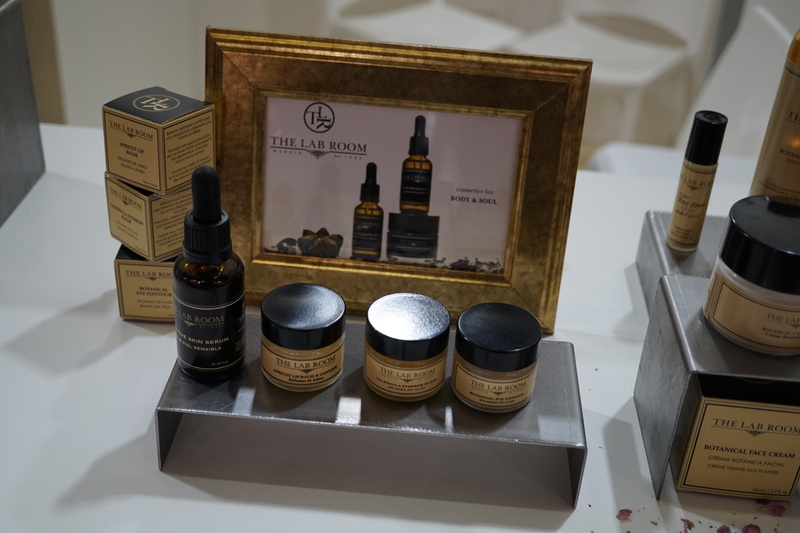 At the trade show, Ami Iyök also presented a new launch, the face oil Slow Liquid which contains a blend of olive oil, sacha inchi oil, argan oil, copaiba oil and rosehip oil. 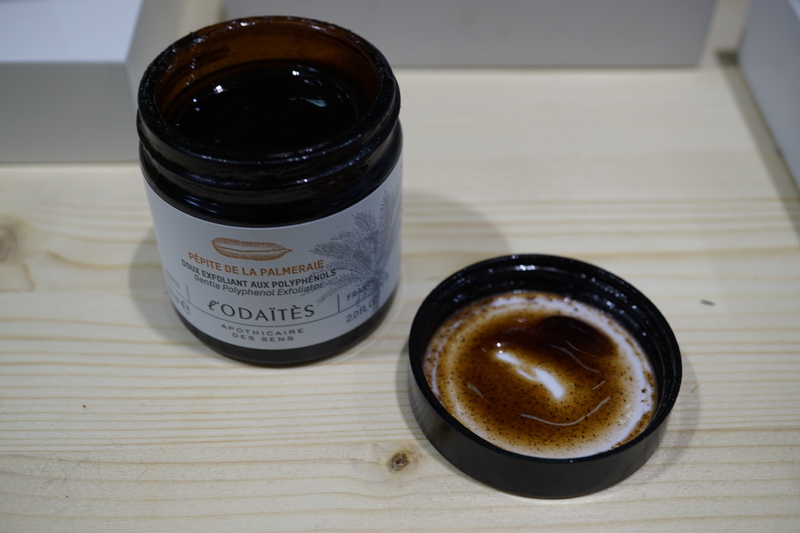 L’Odaitès was another brand that I had only seen online. The company is from France and was launched in September 2013 by three sisters (I love female-owned businesses!). The brand’s product range is based on the key plant active date – as date fruit extract, date peel extract, date tree extract and date nectar – and the range offers six products for the face which include a cleanser for face & eyes, an illuminating mask, an anti-ageing face cream, a face serum and a multi-purpose oil roll-on. The newest launch, from November 2017 is a facial scrub with date skin extract and olive leaf extract (see pic above). The colour and texture looks luscious, don’t you agree? US ethnic hair care brand Design Essentials was an exhibitor at the Tones of Beauty section in Cosmoprime – this area featured ethnic beauty brands. In fact, Design Essential describes itself as a beauty brand for textured and multicultural hair types. This means that the company (which was launched in 1990) not only manufactures products for African hair (whose structure and shape also varies enormously) but for all types of ethnic hair – Latin hair, Asian hair, Caucasian hair (or any mixtures thereof); with a highly segmented 130-sku portfolio of styling and hair care products (mostly retail ranges but there is also a professional salon range) which caters to any hair type and ethnicity. For example, in their Natural Curl Care Collection range Design Essentials defines eight types of curls, starting with 2B (“loose S-shaped waves, limited body or volume and prone to frizz”) over 3A (“distinct well-defined S formed loops, lots of body with good elasticity/spring and prone to frizz and dryness”) and 3C (“defined tight curls in corkscrew or coil, highly dense and full of volume, easy to swell, tangle and frizz”) to 4A (“coiled with evident S or ringlet pattern, some volume limited in movement, hair structure is fragile, dry and knots easily”) and 4C (“very tightly coiled in a zig-zag pattern, requires manipulation to achieve curl definition; with fragile and dry structure”). 2B and 2C would be Caucasian-style curls; 3A and 3B Latino/Mediterranean/Middle Eastern curls and with 3C and upwards we’re moving into the many different types of African curls. As someone with rather straight and flat hair I’ve never paid much attention to curls and waves (except for wishing, sometimes, that I could achieve these without the aid of a curling iron and a lot of product!) so it was fascinating to read about this kind of curl typology. 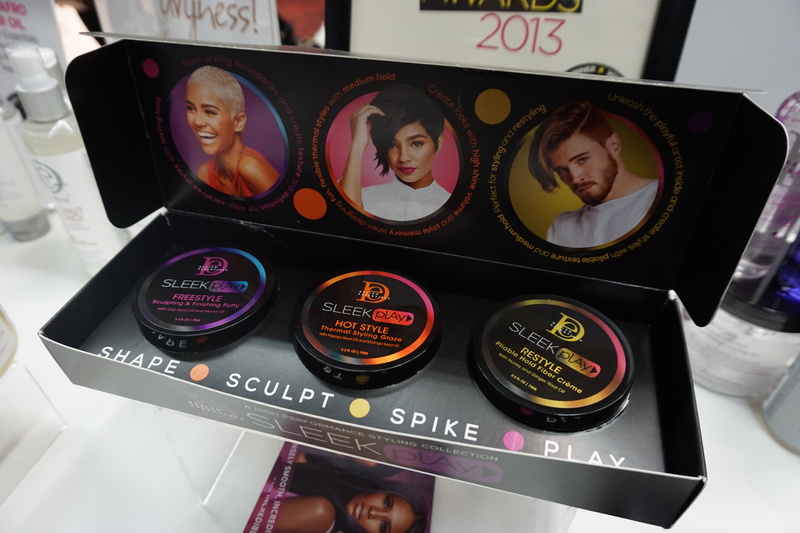 And you can see the brand’s inclusive approach in the new launch depicted in the picture below: The 3-sku Sleek Play range of texturised hair styling products suitable for different ethnic hair types; with an equally varied range of hair models to match. The brand’s product portfolio offers shampoos for all sorts of hair types and scalps – damaged, dry, normal, dandruffy, sensitive – as well as a range of conditioners (leave-in, rinse-out) with differing levels of hydration, from ultra-moisturising over lighter conditioning to anti-frizz hair mists. In the styling section of the brand portfolio you can find products for any type and desired hair style: relaxing and/or straightening, sleek styles; for wraps, sets and molds; styling creams, gels, fibres, pastes as well as different strength hair sprays, lacquers and finishing spritzes. Design Essential’s newest launches include the four-sku range of Scalp & Skin Care oils and the 4-sku Agave & Lavender Blow Dry & Silk Press collection. The Scalp & Skin Care Oils (see pic below) are multipurpose oil blends that, as the name indicates, can be used to moisturize and treat scalp or skin. There are four variants: Moisturizing is based on marula oil and lavender essential oil, Anti-Itch contains soothing aloe vera leaf extract and antibacterial tea tree oil, Detoxifying is formulated with lemon and eucalyptus essential oils and Vitamin contains betacarotene. See pic below. And Agave & Lavender offers four care and styling products to help turn textured hair into smooth styles: the Moisturizing Hair Bath is a softening shampoo, Detangling Conditioner is a ultra-hydrating hair conditioner, Blow-Dry & Styling Primer is a two-phase leave-in conditioning spry spray and Thermal Protection Cream is a heat protection cream which is applied to the hair after it has been blown-dry and before you use a flat-iron on it. Design Essentials is available in the UK, France, the Netherlands, Belgium and Germany – mostly through independent “afro” hair shops although the retail presence in the UK is very strong; as well as Israel and Africa (South African, Nigeria, Ethiopia, Uganda, Kenya and, very soon, the Ivory Coast). 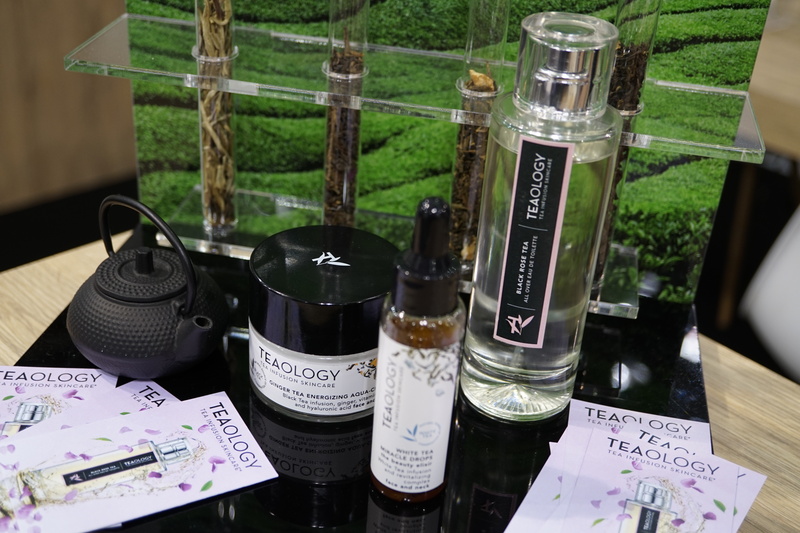 Italian beauty brand Teaology was launched in 2016 with an interesting concept: the brand’s 28 sku of face and body care are based on tea infusions rather than plain water. 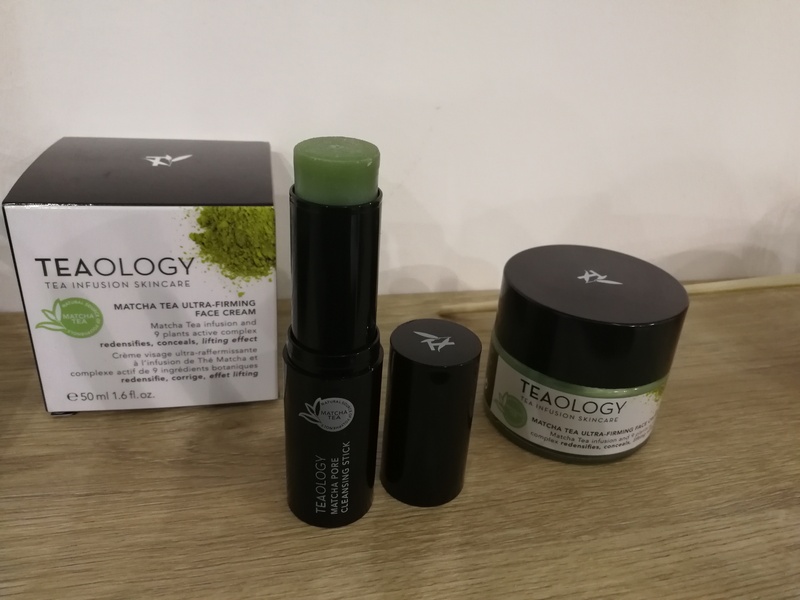 The company uses five different tea blends depending on the desired product effect: green tea, black tea, blue (oolong) tea, white tea and matcha tea. Also interesting: the company is Italian and its beauty products are manufactured in Italy but they are, at the moment, only available outside of Italy (the brand is distributed in around 18 countries). The line-up includes Green Tea Detox Face Scrub, a glossy gel formula with a buttery texture (I can’t really describe it better than this) which contains sugar crystals and crushed tea leaves; the Matcha Pore Cleanser which is a bright green twist-up cleansing stick that can be used on dry skin for a distinct scrub effect or on wet skin for a deeper, gentler cleanse; the oolong tea-based Blue Tea Miracle Face & Neck Mask which (like all of Teaology’s sheet masks) doesn’t just cover the face but also offers a neck piece. The total face care range offers a cleansing milk oil, a micellar cleanser and a toning essence (all based on black tea infusion), a face moisturizer with black tea and hyaluronic acid, a white tea-based hydrating cream, eye cream and finishing primer as well as a fresh gel-cream which contains black tea and ginger extract; a matcha-based face cream, the afore-mentioned pore cleanser; the detoxing face scrub (see above), a white tea essence which is packaged in a dropper bottle; five sheet masks (three with black tea, one with blue tea, one with matcha tea); a white tea eye mask and a white tea cream mask. On the body side is a green tea body scrub, a jasmine tea forming body cream, the black tea micellar shower gel, green tea detoxing bath salts, a blue tea hand cream, a black tea anti-cellulite concentrate and Black Rose Tea All Over Eau de Toilette which is a divine fragrance created for Teaology by master perfumer Natalie Lorson from Firmenich. Seriously, I fell in love with this perfume! The company’s 30-odd face and body care products are retailed in 20 countries, including Germany where they have just signed with Nobilis group; a distributor which practically guarantees a strong retail presence in the most important department store and perfumery chains. 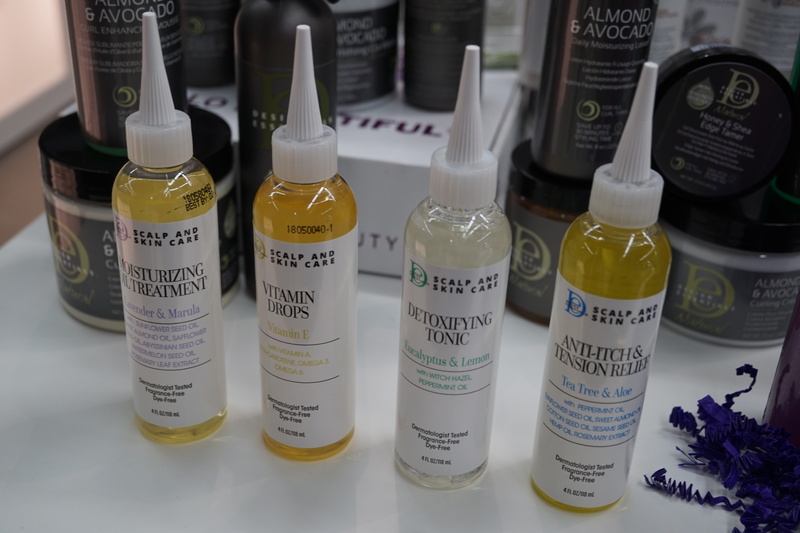 UK brand Dr. Botanicals was launched in 2012 and has already achieved a comprehensive retail presence – the brand’s natural beauty products are available in 20 countries in Europe and internationally. The latest country market is China – the company has just launched its first store on Tmall. And in Germany, the brand will be available through online fashion retailer Zalando soon, I was told. 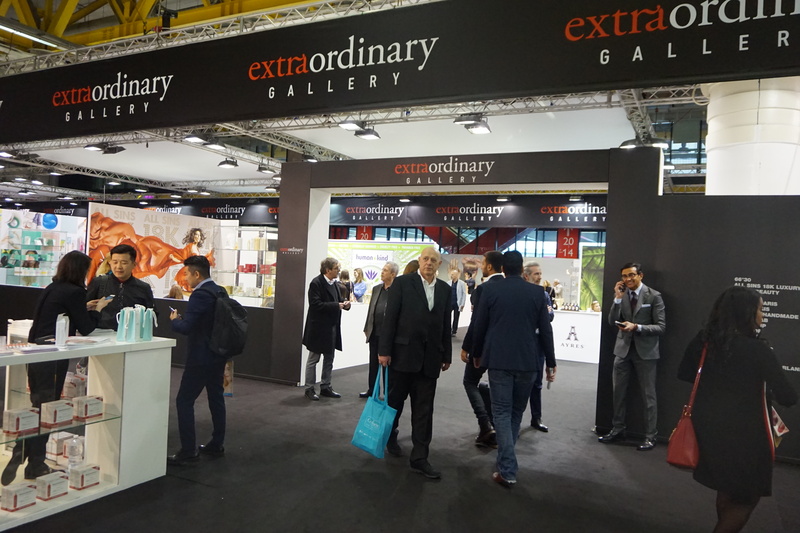 At Cosmoprof Bologna, Dr. Botanical’s presented its newest launch from October 2017: an 11-sku superfoods-based skin and body care range aimed squarely at the Millenials demographic. The packaging is eye-catching: fresh, attractive colours and geometric patterns; each key ingredient is displayed on the box with its initials (in this case: Turmeric) and a font face that is reminiscent of a periodic table. 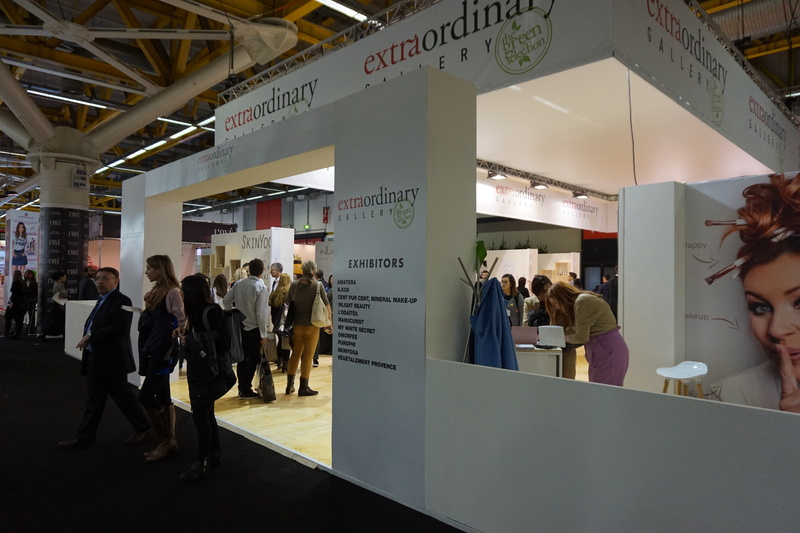 There were several organic newcomer brands from Italy at Cosmoprime – Bottega Organica, for example. 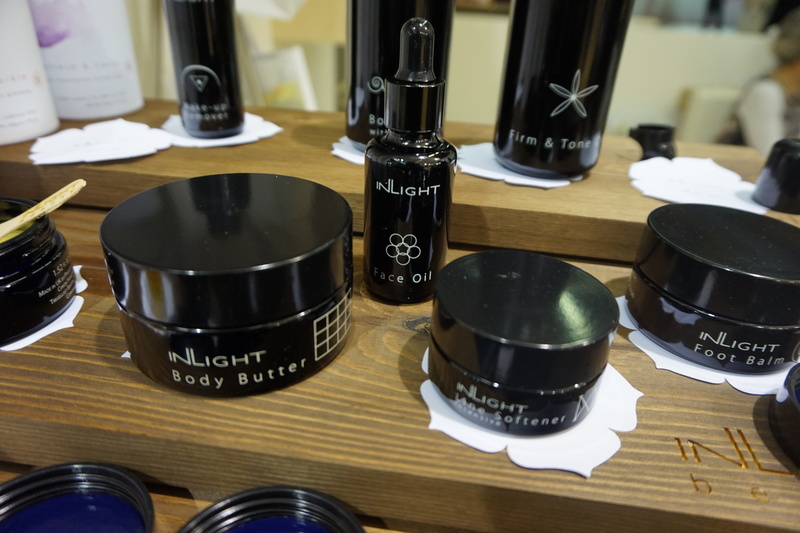 The Liguria-based beauty brand was launched in 2015; most of Bottega Organica’s ingredients are sourced from Le Teglie organic farm in Pieve de Teco, near the coastline of Liguria. 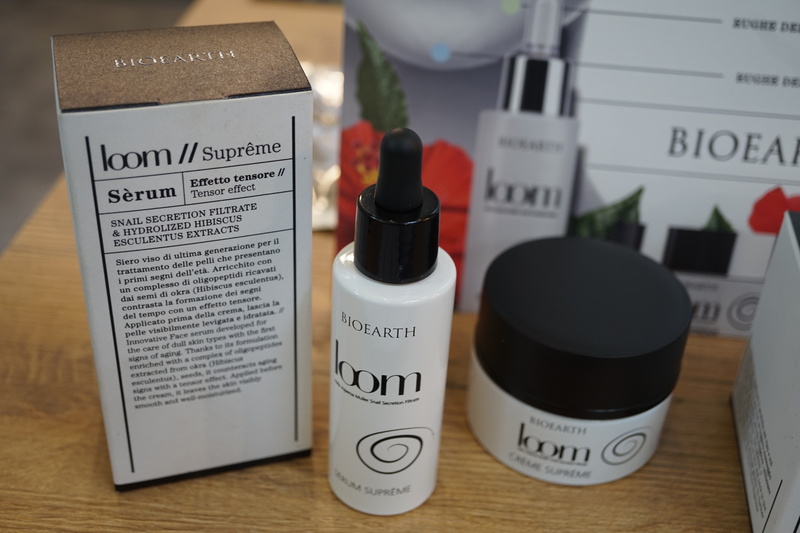 All products include salvia haenkel (also known as “prawn sage”), a type of sage which is described as helping to slow down the ageing process of the skin’s cells by 50%. Bottega Organica’s founder Andrea Alimonti is a molecular geneticist by profession and he researched the skin care properties of this sage. The majority of plants and herbals used in the cosmetics are wild-harvested from Le Teglie, as is the organic olive oil and the salvia haenkel. The packaging is also sustainable: the bottles are made from violet miron glass, the cardboard packaging is made from upcycled orange peel paper and printed with soy-based ink. Despite the fact that this is a comparatively young brand, Bottega Organica has already achieved an impressive retail presence in 13 countries, including a whole range of offline POS in the US (and in Italy, of course). 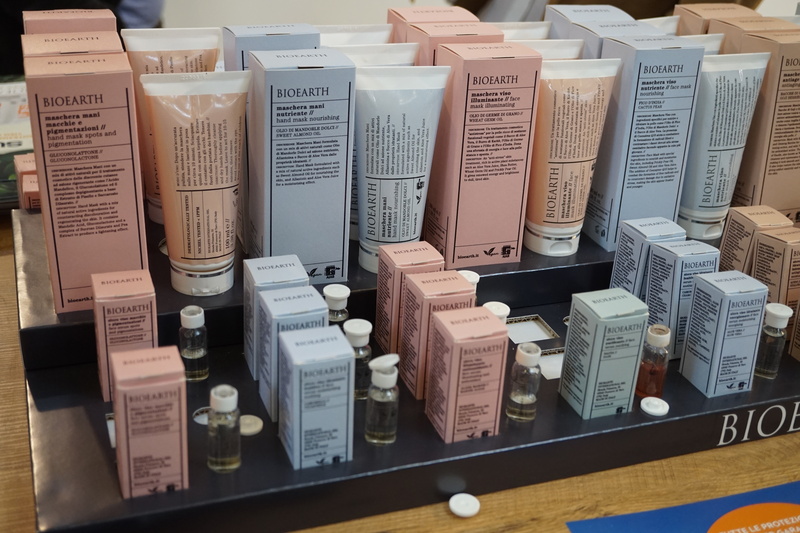 In most other countries Bottega Organica is available online but the brand’s website seem to list at least one retail location for each country – in Tokyo/Japan, for example, but also in Germany (Munich), plus, of course, in numerous online beauty stores. 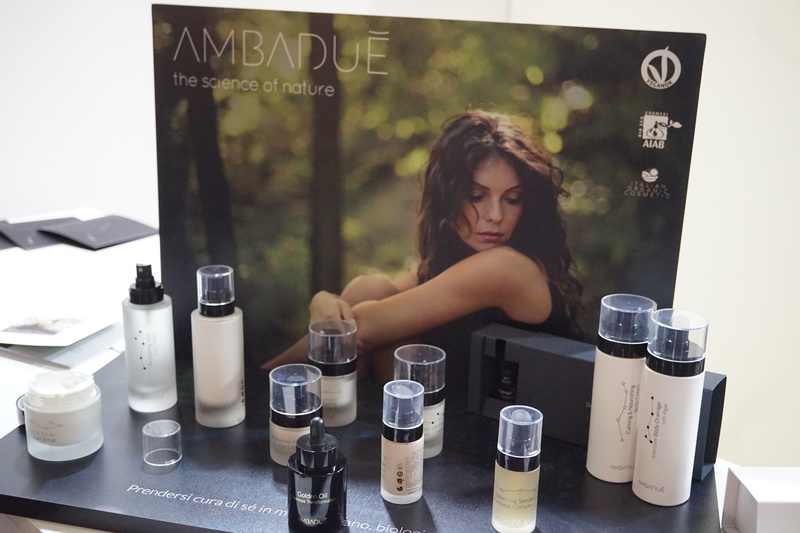 Ambadue comes from Torino in the North of Italy and was launched this January. 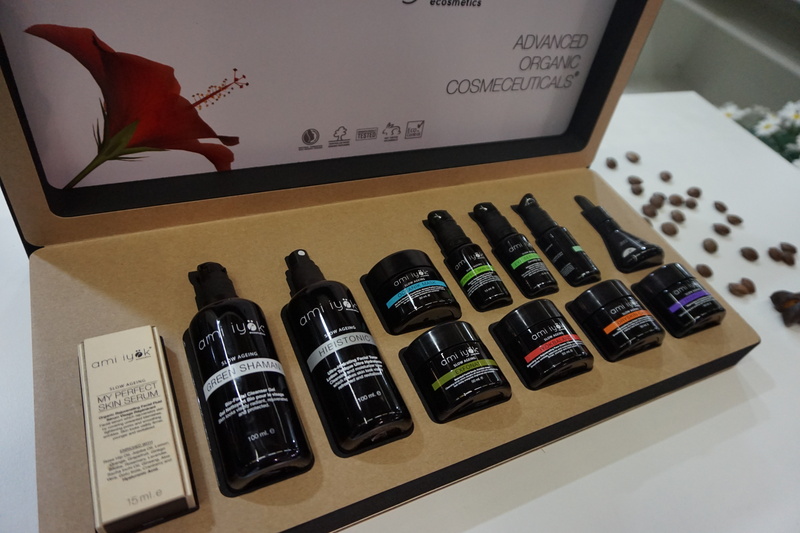 At Cosmoprime the company presented its beautifully packaged product range: eight face care products and three body care products. Packaged in super-heavy and luxurious-feeling glass bottles, the face care line-up comprises a Calming Milk Cleanser which is surfactant-free and contains hyaluronic acid, a Gentle Face Scrub with cellulose granules, a Revitalizing Mist Face Toner with pomegranate water and poppy seed stem cell extract, an oil-free Balancing Serum, the calming and protective Intensive Serum which contains rhodiola rosea extract and hibiscus siriacus stem cells; the skin-firming Deep Lift Filler with peptides, the Hyaluronic Acid Eye Cream and Advanced Anti-Ageing Face Cream which has been formulated with a blend of rhodiola rosea and rutin stem cells. The body care side of things offers an Intensive Body Drainage lotion and a Calming & Nourishing Body Cream as well as the intensive treatment Deep Drainage Drops. 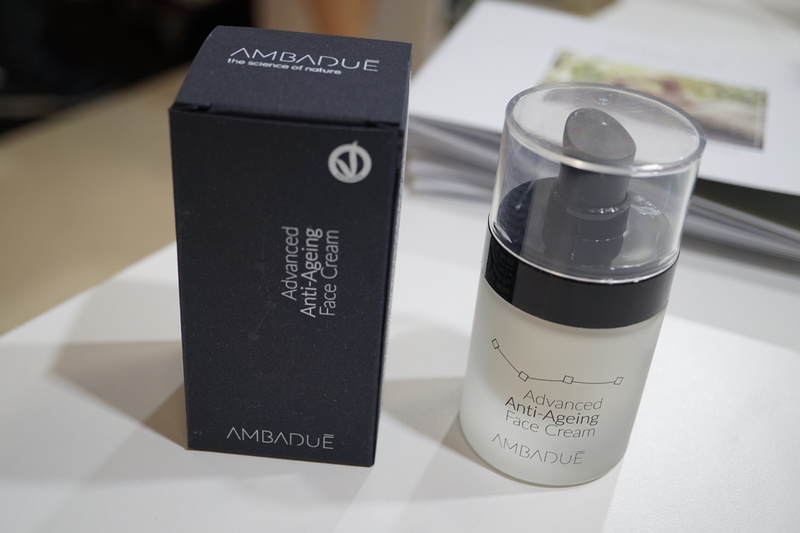 Ambadue’s newest product is the Golden Oil, a moisturizing hair care blend which contains a very special kind of squalane: Ambadue’s squalane is created with supercritical CO2 extraction technology from the residue left by beer fermentation. And the company actually received an award for the development of this new type of ingredient: the Federchimica Prize 2017. 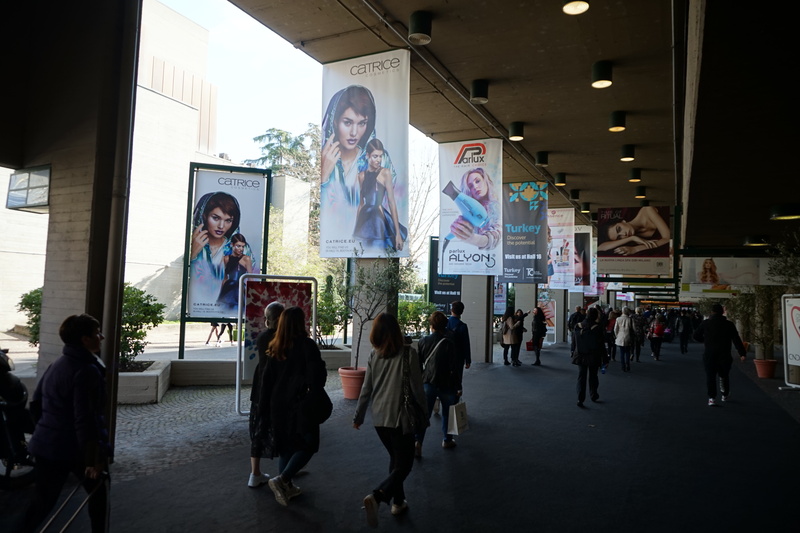 French beauty brand Qädyp (in Hall 21) received one of the coveted Cosmoprof Bologna 2018 Awards in the Green category, congratulations! And very well-deserved; this is such a charming brand. The company was launched just a couple of months ago; the brand is named after the village of Quaȅdypre in the North of France (near the Flemish border) where founder Matthieu Reumaux comes from – his family has been farming flax in Quaȅdypre for generations. Now Matthieu has taken over his grandparents’ farm and is converting it to organic farming. Qädyp’s 4-sku oil range is even Demeter-certified – Demeter is one of the strictest organic seals worldwide; it certifies biodynamic agriculture. In Germany you can find a lot of Demeter-certified food brands but there are very few cosmetics brands that I know of that carry a Demeter certification. Anyway, Qädyp offers four oil blends: face & body (flaxseed and borage), hair & nails (sesame, camellina and flaxseed), a dry oil (flaxseed, sesame and wheatgerm oil) and a massage oil (flaxseed oil and hemp oil). All oil blends are either based on or contains a large amount of flaxseed oil. Flaxseed (also called linseed) is very rich in omega-3 acids so it’s a great oil for skin and hair care. 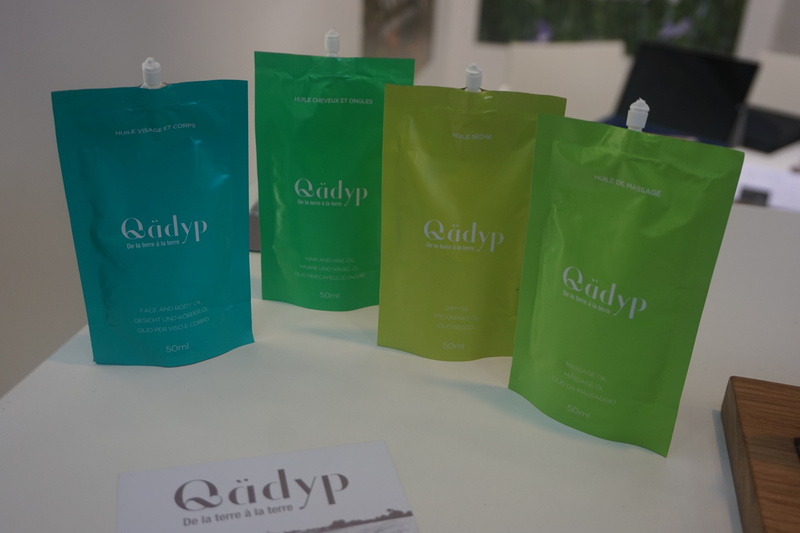 One of the reasons why I stopped at Qädyp’s small exhibition booth was because of the eye-catching packaging– the beautiful green and greenish-blue shades of the oil sachets literally caught my eyes from across the room! Each sachet of oil retails at 12 Euro and although the materials are still aluminium and plastic, Matthieu told me they’ll be changing to green polyethylene packaging soon. 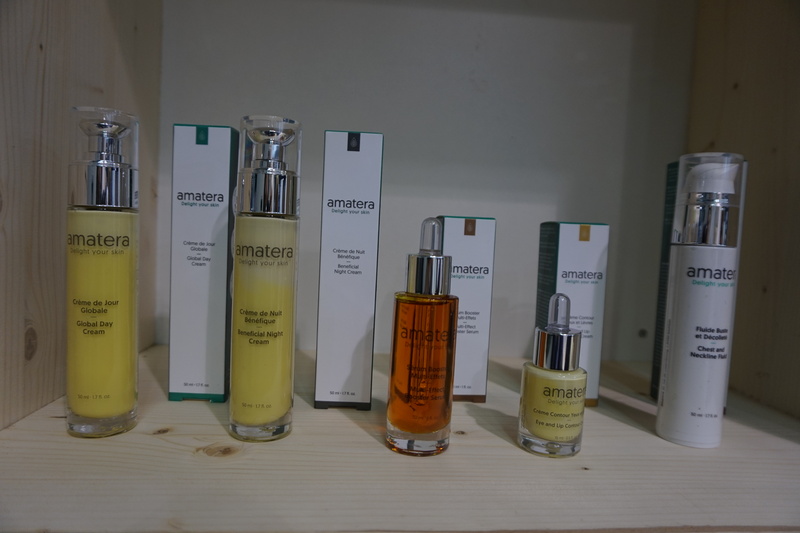 Newcomer brand Amatera from Luxemburg was launched in April 2017. The company was actually at Vivaness last month but I missed it there, so I was glad that I got a second chance to meet founder Dominique Nemery at Cosmoprof Bologna. 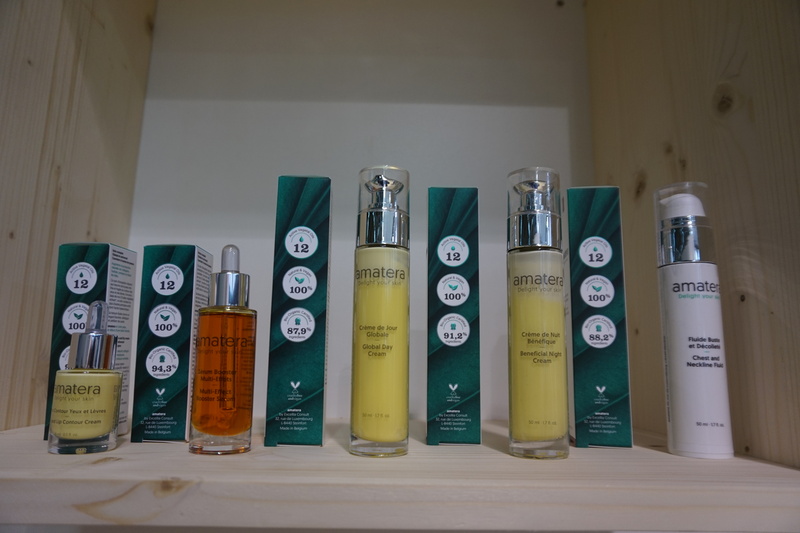 Amatera offers four unisex products – a day cream, night cream, eye & lip contour serum and a multi-effect booster serum – as well as a neck & décolleté cream for women. All products contain a blend of 12 plant oils (the serum contains 16!) – the theory behind this is that each skin is different and needs specific ingredients, so it can pick whichever substance it needs from the oil blend. 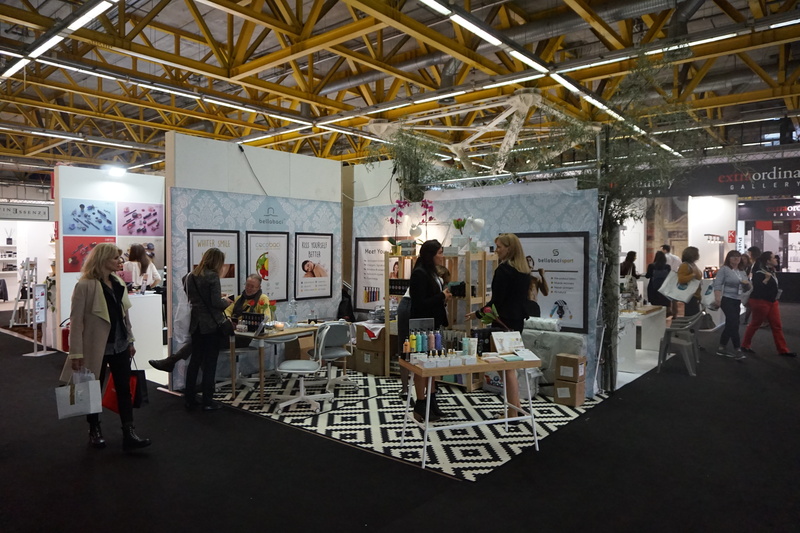 Currently Amatera’s products are available online only, in Luxemburg, Belgium and France, and the company was at Cosmoprof to look for more international exhibitors. I’ll keep my fingers crossed! 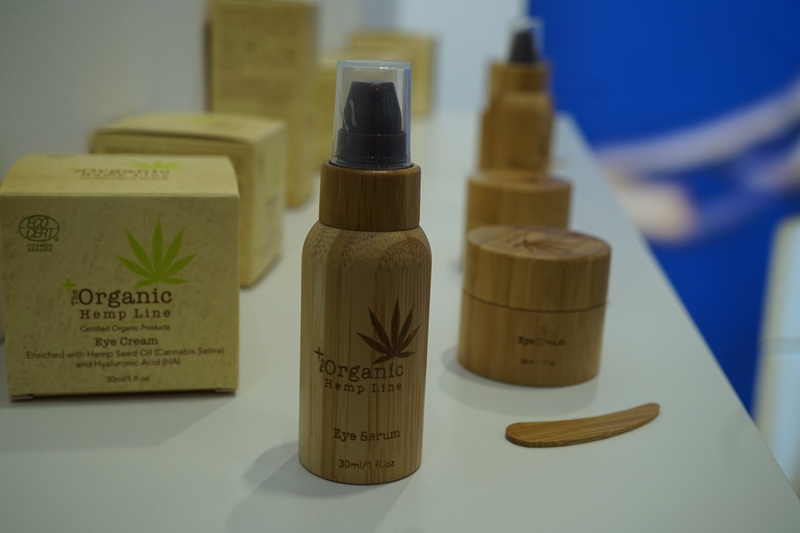 The Organic Hemp Line is from Israel and was yet another certified organic newcomer brand at Cosmoprof Bologna. 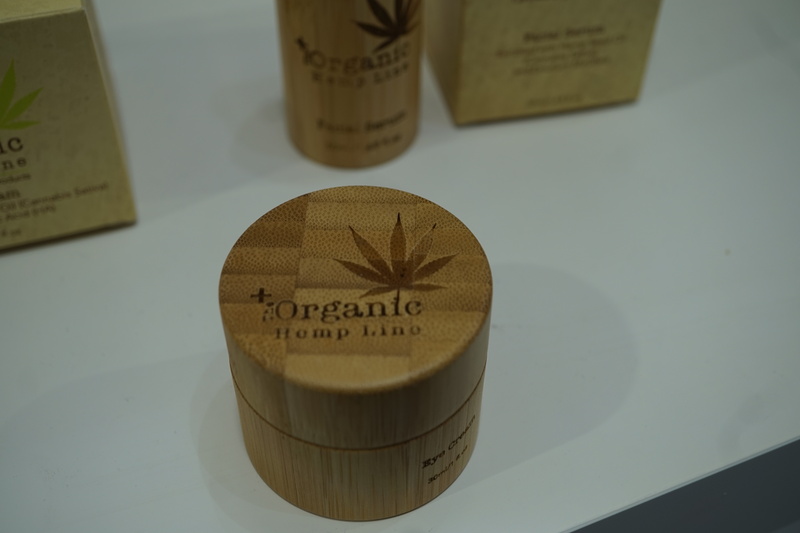 As the name indicates, each product the 8-sku range contains organic hemp extract, organic hemp seed oil and/or CBD oil which is grown and harvested in Israel. Most products also contain various plant-based ingredients complexes which I had to google first (very interesting!). Ok, so the range offers the Facial Moisture Cream which is based on a blend of olive oil, jojoba oil and shea butter as well as the Nourishing Night Cream which contains not only olive oil, shea butter and hyaluronic acid but also Emulium Mellifera (described as a sensory emulsifier created from beeswax and jojoba wax); a silky Facial Serum with aloe vera and Emulium Mellifera, an Eye Cream with vitamin E, an Eye Serum formulated with Crystalhyal complex (high-molecular hyaluronic acid) and Easyliance (a blend of hydrolyzed biopolymer and acacia gum). The line-up also offers a Relaxing Beauty Mask with rosehip oil, Pentavitin (a sugar-based moisturizing complex) and Kalpariane (boosts skin elasticity) and the Exfoliating Peeling Mask (which I will be trying out as soon as I am back in Berlin!) which contains powdered apricot seeds and red algae extract as well as aloe vera, shea butter and olive oil. Finally, there is a deeply hydrating Body Lotion. And the packaging is gorgeous! The pictures don’t do the bamboo containers justice – the natural bamboo stem pattern (which looks different on each lid) is beautiful. 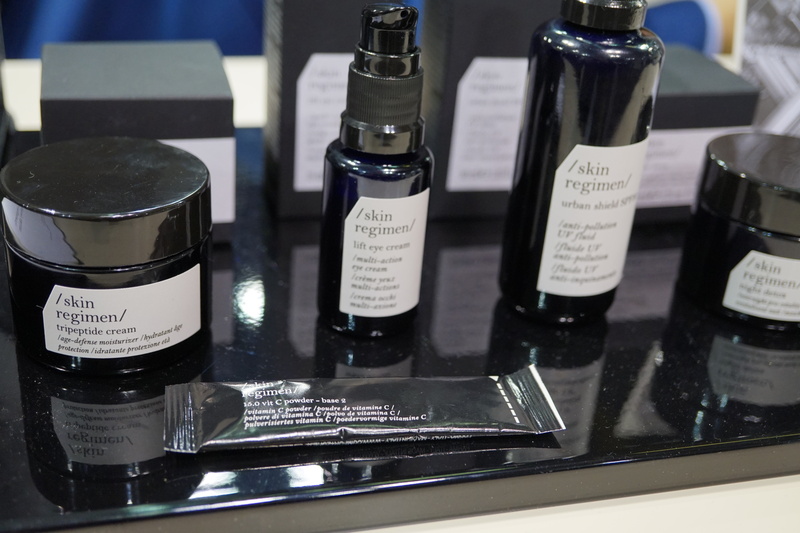 Skin Regimen had its exhibition booth in the Extraordinary Gallery; right in the middle of the exhibition space – the booth design was just as striking as the stylish black and white apothecary-style packaging of the beauty products. I was interested to find out that this recently-launched brand actually belongs to Italian hair care company Davines – Davines is a salon brand with gorgeous packaging; you’ve probably seen it – they’re distributed in around 70 countries worldwide. Davines also owns spa brand [Comfort Zone], incidentally. 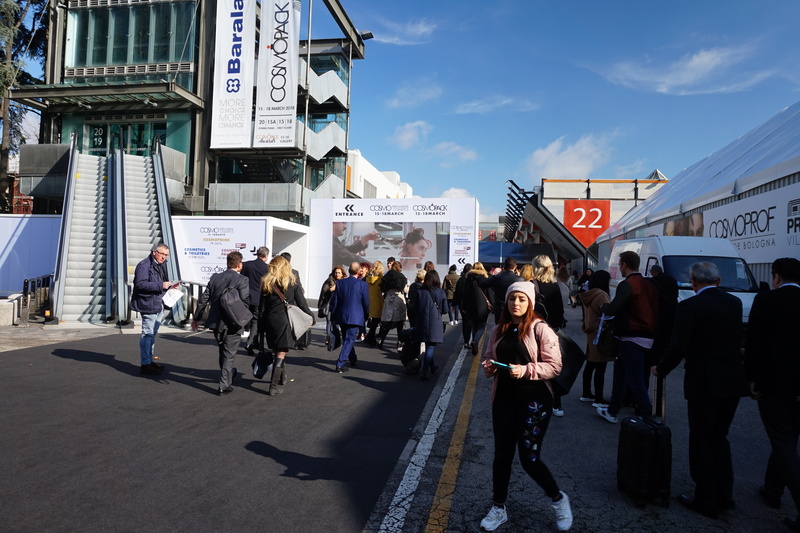 Again I had no idea – I seem to see [Comfort Zone] at almost every trade show and never knew that they were part of the Davines brand stable…! The line-up offers a foaming facial cleansing cream, a microalgae essence lotion, a tri-peptide moisturizing cream, a lifting eye cream, a UV protection fluid with SPF 30 and a night detoxing leave-on mask, in addition to four booster serums: 1.85 HA Booster (three types of hyaluronic acid), 10.0 Tulsi Booster (contains nourishing and protective tulsi extract in an oil-textured formula), 15.0 Vit C Booster (with vitamin C; the vitamin powder is packaged in individually sealed sachets and then mixed with the essence just before use; see pic above) and 1.5 Retinol Booser (contains encapsulated retinol). All products contain the brand’s exclusive Longevity Complex which combines extracts of wild indigo, maqui berry and spinach as well as carnosine. 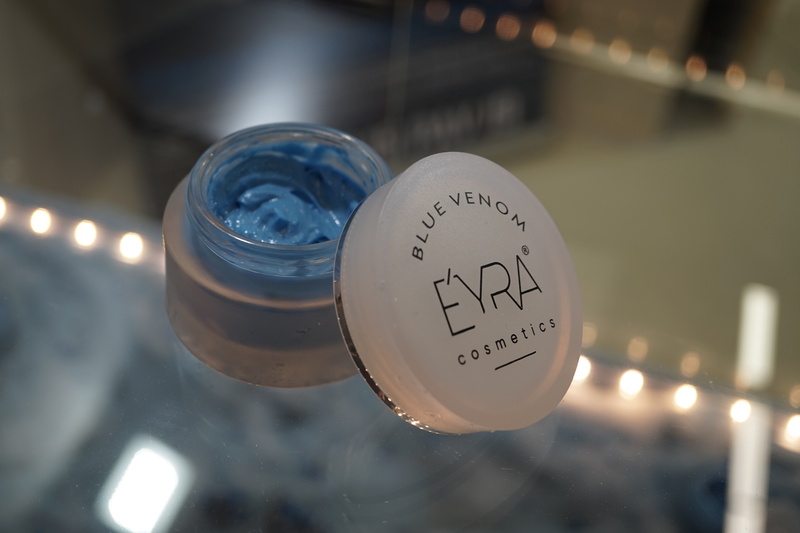 Italian beauty brand Eyra Cosmetics presented one of the most spectacular-looking product launches at Cosmoprime: Blue Venom is a sky-blue anti-ageing face cream which contains three types of venom – bee venom, scorpion venom and viper venom – and spirulina extract which accounts for the striking blue product colour. The Sicily-based start- up was launched in February 2018; in addition to the Blue Venom moisturizer the company also offers three further face care products – a lip balm, a moisturizing face mist which can be sprayed over the face to refresh it during the day, and an eye cream (also blue). The products are all manufactured in Italy. And Raww is an Australian superfoods-based skin care and colour cosmetics range which was launched in Australia in November 2017; it will be rolled out internationally in late 2018. 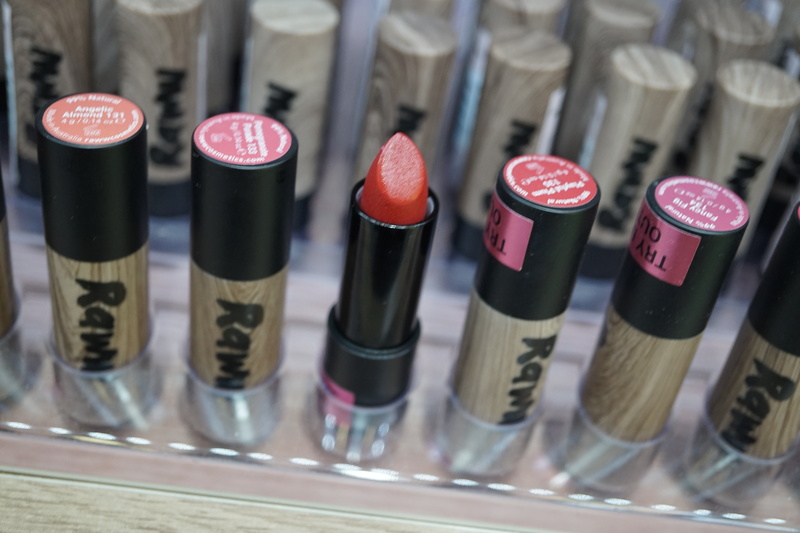 Raww belongs to the company behind mineral makeup brand Inika and at the trade show there was a display case of Raww with the entire 88-sku product range. All of the products are based on coconut water and the INCI formulations list one plant extract after the other – these products are seriously packed with nutrients. Every product contains WildBerry Harvest complex which is a blend of three native berries which grow in the Australian outback: pepperberry, riberry and muntries. I had to google all of these and yes, they are Australian superfood berries, full of antioxidants and quite skilled at growing in inhospitable territories. Who knew! The product formulations also contain kale extract. Skin care: Remove-Me Micellar Water with witch hazel and kakadu plum extract. Purify-Me Gentle Cleanser. Polish-Me Face Exfoliator with goji berry and coconut water. Balance-Me Mist Toner, Activate-Me Moisturiser with vitamin C and kakadu plum extract, Recover-Me Face Oil with coconut, grapeseed and avocado oil, Smoothe-Me Fine Line Serum with acai berry and kakadu plum extract; Nourish-Me Hand & Nail Cream with vitamin C and kakadu plum and Buff-Me Sugar Coffee Body Scrub with coffee grounds and sugar crystals. Face colour (liquid products:) Wildberry Boost Primer with liquorice root and rosehip oil (it felt AMAZING on the skin); Wildberry Nourish Foundation with raw cocoa and chia seed oil (available in six shades which range from rosy-fair to olive-toned bronze and soft brownish shade). Wildberry Glow BB Cream with kakadu plum extract, turmeric and acai berry (four shades); Wildberry Blur Concealer with rosehip oil and chia seed oil (two shades). Acai Berry Glow Illuminator with coconut oil and macadamia oil. Face colour (dry products): From The Earth Loose Mineral Powder with kaolin clay, goji berry and cranberry extract (six shades). From The Earth Pressed Powder with green tea and chia seed oils (four shades), Macadamia Crush Bronzer with macadamia oil, almond oil and coconut oil; Pomegranate Crush Blush (two shades). Lip colour: Coconut Kiss Lipstick with mango butter and orange oil (12 shades), Fruit Fusion Lip Oil with coconut oil, grapefruit essential oil and avocado oil (three shades), Coconut Splash Lip Gloss with mango butter and coconut butter (9 shades). Eye colour: Moringa Lash Impact Mascara with chia seed oil and argan oil (two shades). Babassu Oil Eye Pencil (two shades) and Babsssu Oil Brow Fix (two shades). Nail colour: Kale’d It Nail Laquer, a 10-free nail polish range which comprises 24 shades plus base coat and top coat. Prices range from 17-30 AUSD for skin care products and 15 AUSD (nail polish) to 35 AUSD (primer) for the colour cosmetics range. I can’t really remember when I last saw so many interesting organic men’s care brands at a single trade show. 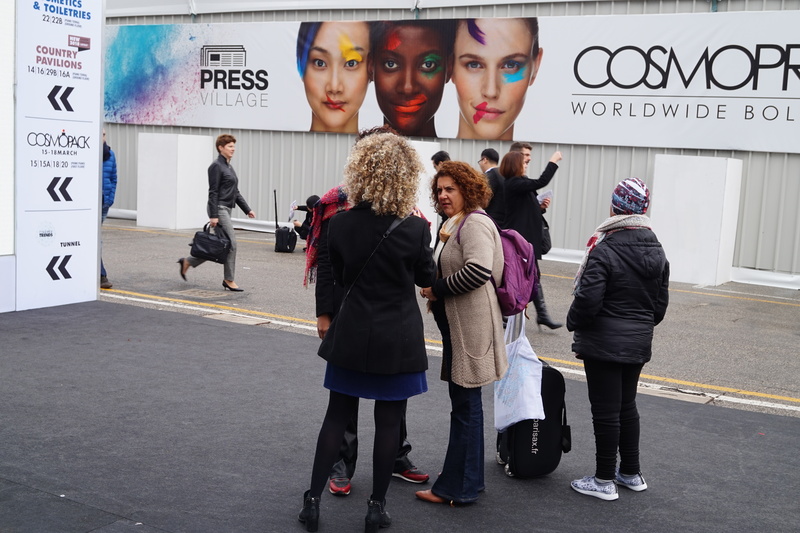 With the exception of Bad Weather (which was presented at the exhibition booth of manufacturer Dabba in the Latvian country pavilion in Hall 16) all of these brands were at Cosmoprime, with Zew and 66°30 located in the Extraordinary Gallery exhibition section. What I particularly like is that all of these men’s brands have a cohesive concept behind them; with a real brand identity and brand story. These brands were launched by male founders for men, rather than usual female brand launching a men’s care range in order to capture the male market. Traditionally men’s product ranges are almost always attached to a beauty brand designed for women – seriously, think about it; Nivea Men or L’Oréal Men in the mass market and practically all men’s care ranges in the luxury sector are sub-ranges launched by popular women’s brands. 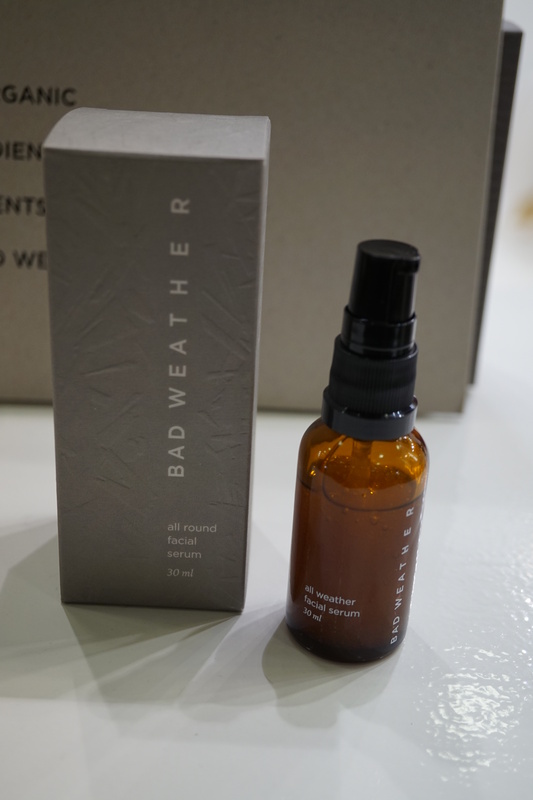 Bad Weather is a brand-new Latvian men’s care range manufactured by the company behind Dabba, so you get the same high-quality Nordic ingredient formulations that you also find in the regular Dabba products (I’m a huge fan!). Certified by Cosmos Organic, the new men’s care line offers six products (they had three of these at Cosmoprof Bologna), including the All-Round Facial Cream which contains fireweed leaf extract, heather flower hydrosol, hyaluronic acid and aspen bark extract and Wake Up Facial Spray (based on peppermint hydrosol, aspen leaf water and Japanese quince fruit water). 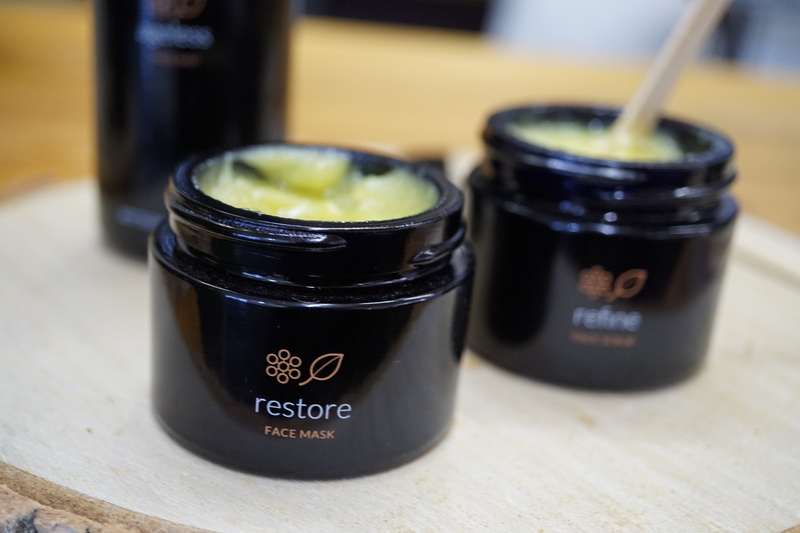 The face care side also offers an All Round Facial Serum with rhubarb root extract, fireweed leaf extract and Japanese quince fruit water and Survival Balm, a very rich balm which is based on beeswax, pine needle extract, hops extract and birch leaf extract. Then there is the Out of the Dark Eye Gel (peppermint and chamomile hydrosols, green coffee extract and hyaluronic acid) which will join the range very soon, and a Beard Oil which is based on avocado seed oil, hemp oil, hops extract and pine needle extract. The trade show hall lighting was really challenging for my camera so I don’t know if you can see the packaging in the pic properly but the products are wrapped in beautifully textured cardboard boxes – each box has a different texture and pattern embossed (or engraved?) on the pack. If you’re interested in the brand: it will be sold in all of Dabba’s usual markets and retail channels, starting with Finland and then expanding into Germany and Italy. 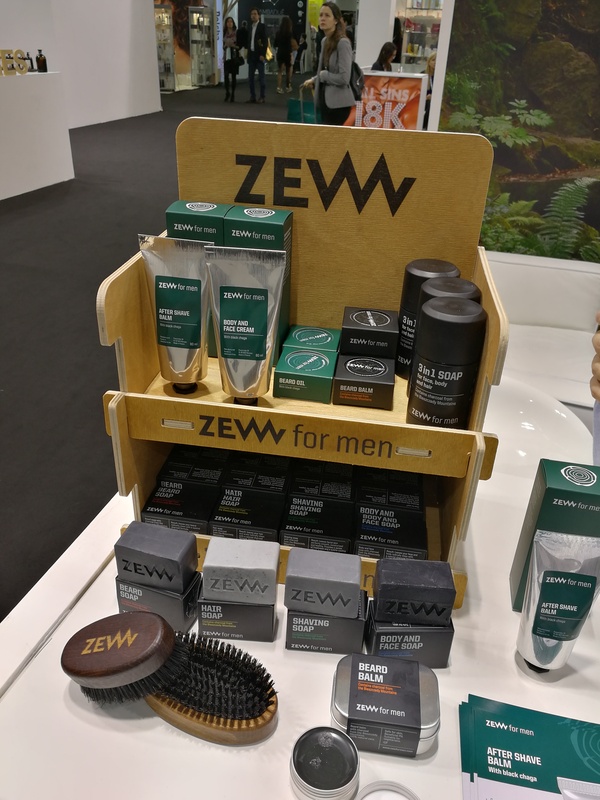 And Zew is an interesting organic men’s care and shaving brand from Poland. The company was launched in October 2015 with a charcoal-based product line which includes a twist-up solid 3-in-1 Soap for face, body and hair, a solid Beard Balm and several individual bar soaps: Body & Face Soap, Beard Soap, Shaving Soap and Hair Soap. The brand also offers a number of wet shaving and beard accessories including various beard brushes, shaving brushes, wet razor, a soap tin and an enamel shaving mug. 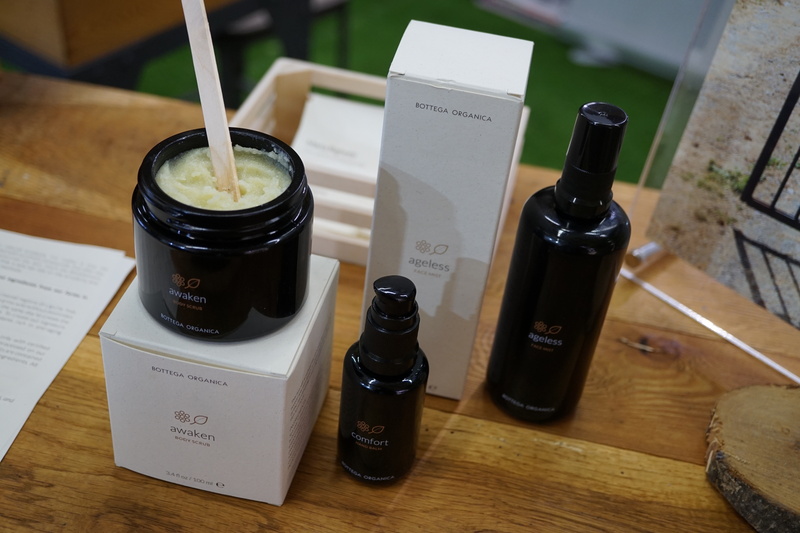 At Cosmoprof Bologna Zew presented its latest launch, the green-packaged Black Chaga range (see lower pic) which includes, yes, black chaga mushroom extract. Still a rather exotic ingredient for a European beauty brand! The Chaga line-up offers a solid Beard Oil which contains argan and camellia oils as well as evening primrose and borage oils which are rich in hair-conditioning Vitamin F; Aftershave Balm with coconut oil, argan oil, pumpkin seed oil and camellia oil as well as aloe vera and panthenol and Body & Face Cream, a multipurpose moisturizer based on olive oil, coconut oil and sweet almond oil plus sea algae extract. In total there are 13 sku in the range and the products are available in France, the UK, the Czech Republic, the UAE and, of course, Poland. The company is hoping to expand its distribution in Western Europe and the US. Proverb is a newcomer men’s care brand from London – in fact, the brand launched just last month. The product range offers six products which are aimed at men but the product textures and fragrances are unisex enough (and very pleasant) to also appeal to women – I personally appreciated the high quality ingredients; most of the liquid products are based on aloe vera rather than water. As you can see in the pic the packaging is simple and stylish and, again, rather unisex looking. 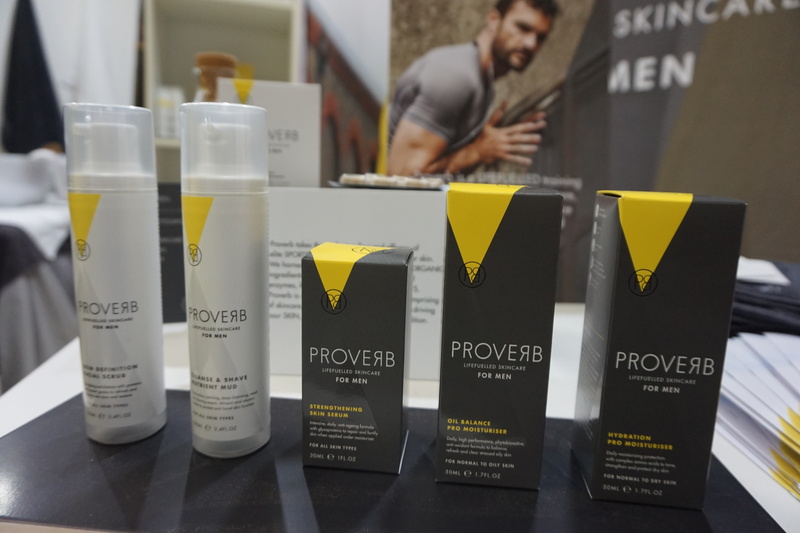 Proverb aims to offer men clean, uncomplicated and performance-oriented skin care products – with a simple skin care routine that starts with the cleansing/shaving cream. I was surprised by this product; initially I thought this was a standard 2-in-1 foam product but it’s actually a kaolin-based thick cream. Feels very good on the skin. The range also offers a hydrating serum, two moisturizers for dry and oily skin respectively, and a face scrub. 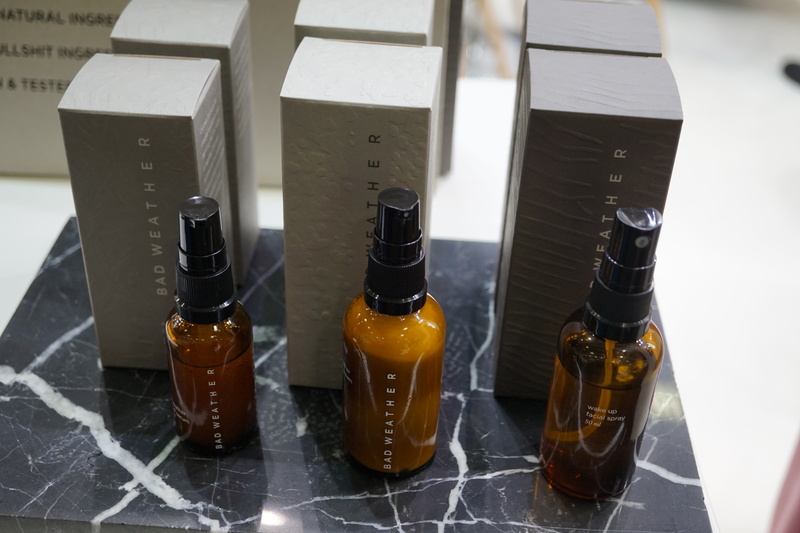 Proverb’s products are currently available online, and in a beauty salon in London’s John Lewis department store. 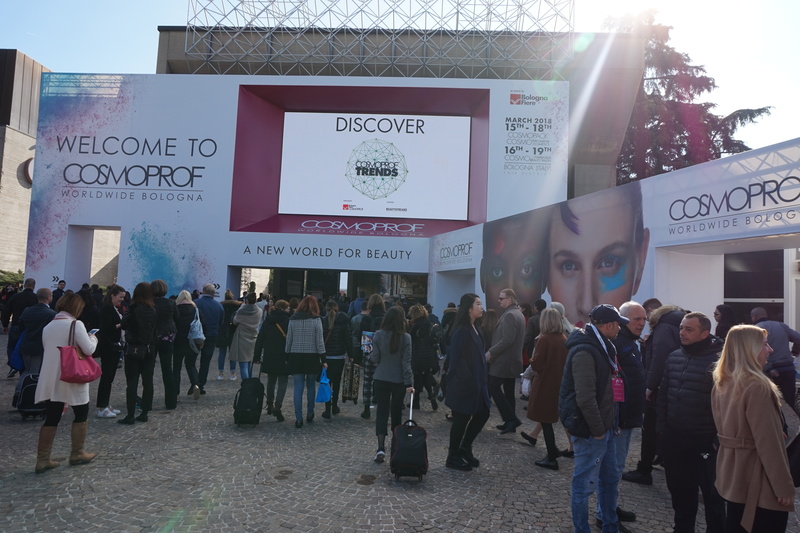 The company was at Cosmoprof Bologna to look for European and international exhibitors; especially for the US, Germany and France. 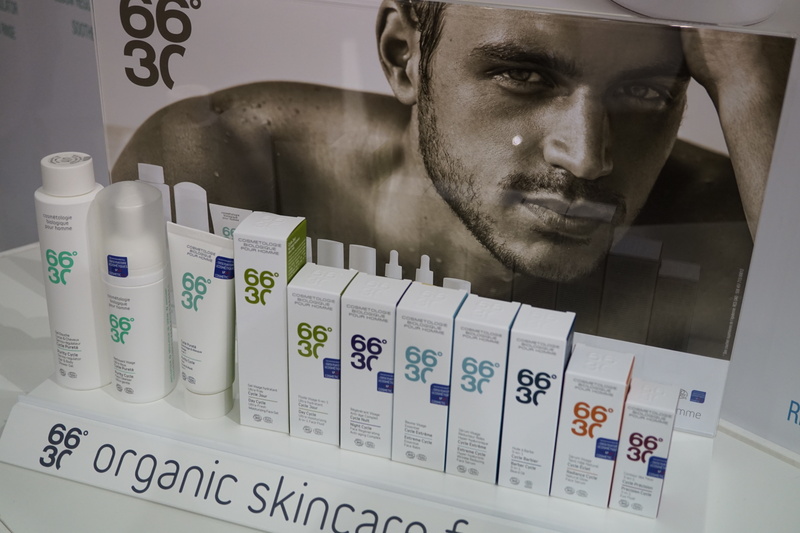 I first saw French men’s care brand 66°30 at Vivaness several years ago – it might even have been at my first Vivaness trade show? Anyway, I immediately recognized the brand’s distinctive logo (which refers to the angle that the earth is tilted, in case you’re interested) and the ultra-stylish packaging. 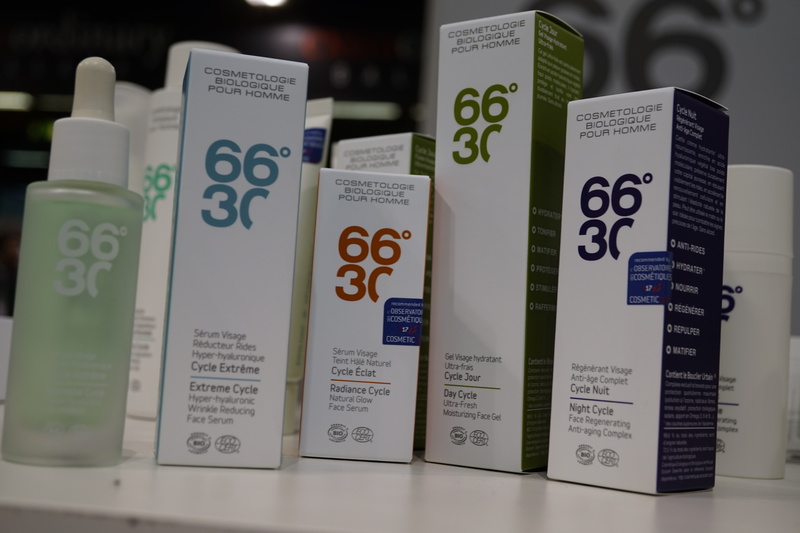 66°30 was launched in 2009 and their product portfolio offers 11 multipurpose face care products, including three new launches from January 2018: Barber Cycle 5-in-1 Beard Oil, Extreme Cycle Wrinkle Reducing Hyper-Hyaluronic Serum and Day Cycle Ultra Fresh Moisturizing Gel. Product prices range from 22 Euro to 59 Euro which places 66°30 in the masstige-luxury skin care category – and the prices are definitely justified considering the quality of the Ecocert-certified ingredients. In France the brand is available in high-end department stores like Galeries Lafayette as well as organic concept store Mademoiselle Bio in Paris. There are also some POS in Germany, Switzerland and Austria as well as Romania and even Russia. In Asia, 66°30 has an impressive retail presence; the brand’s products are sold in department stores and online in Japan and Korea, through Tmall (online) in China as well as Hong Kong. 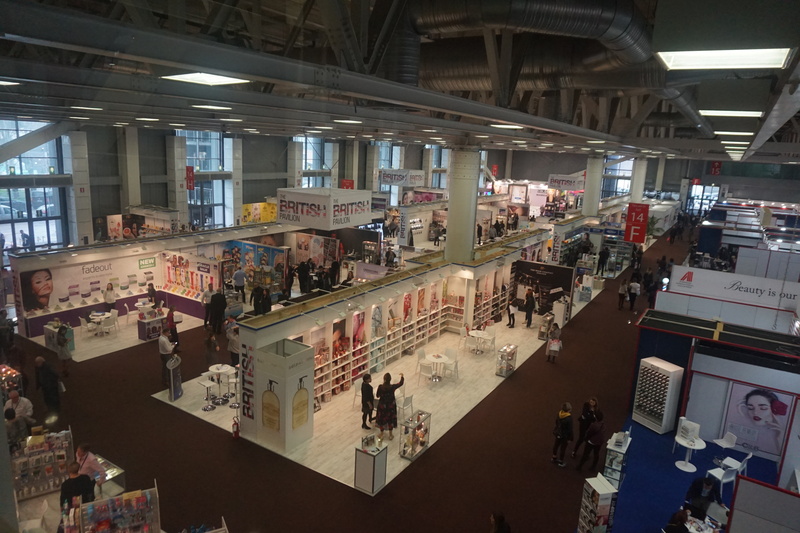 Well, that was this year’s Cosmoprof Bologna. As always, a very worthwhile trade show visit. 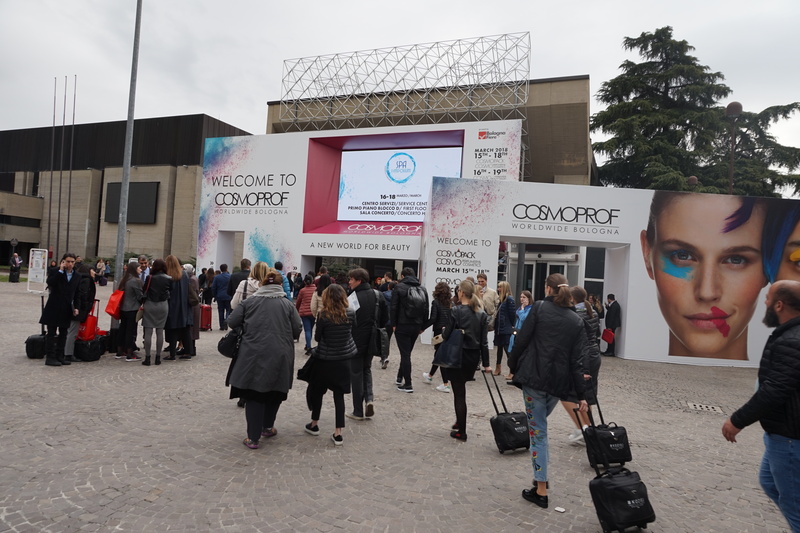 I had actually signed up for five presentations of the conference programme but in the end I spent so much time chatting with brand founders and trying out new products that I didn’t attend a single one of the sessions – it’s a pity because Cosmoprof Bologna offered an exciting trade show conference programme this year. Still, there’s only so much time in the day! And I’m glad that I had the opportunity to meet so many interesting beauty companies, brands and individuals. Below you’ll find some more impressions of the halls. Enjoy.